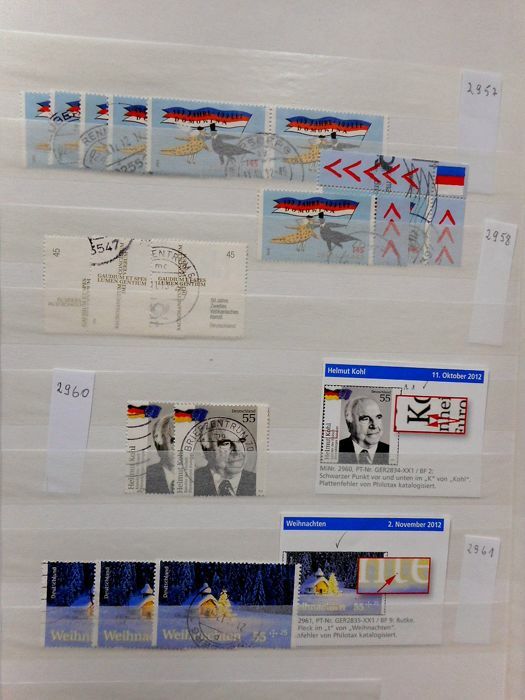 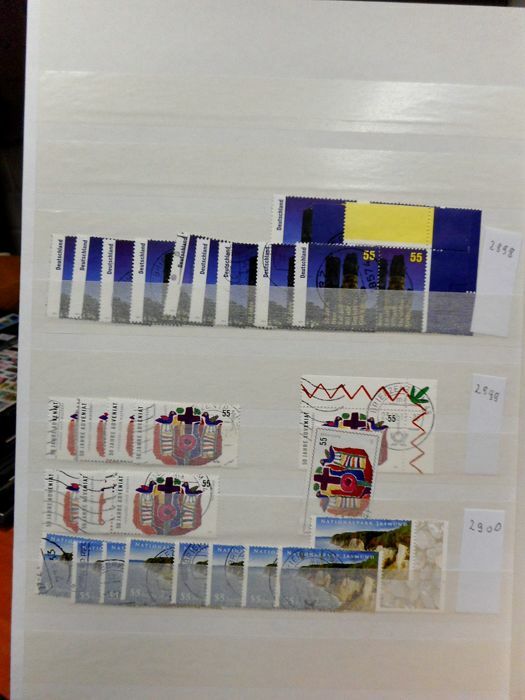 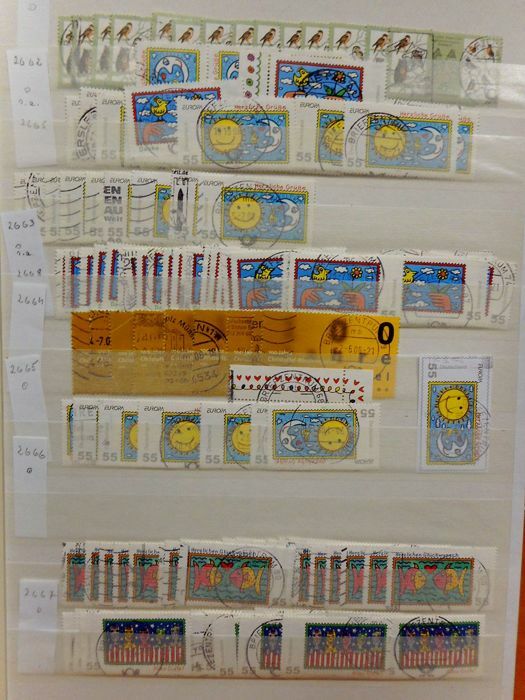 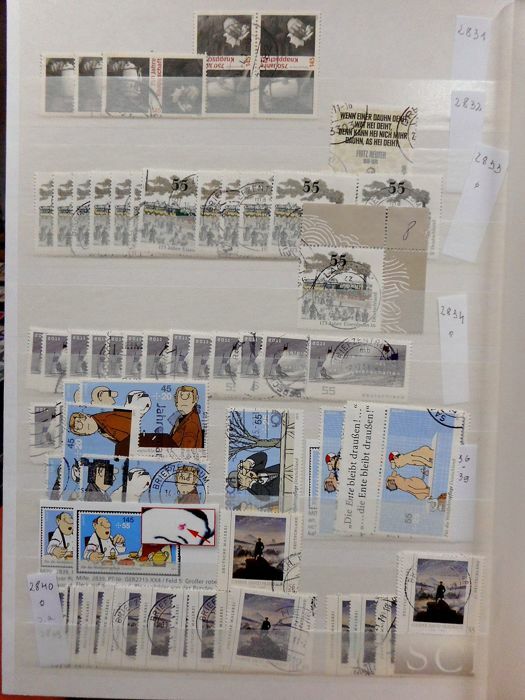 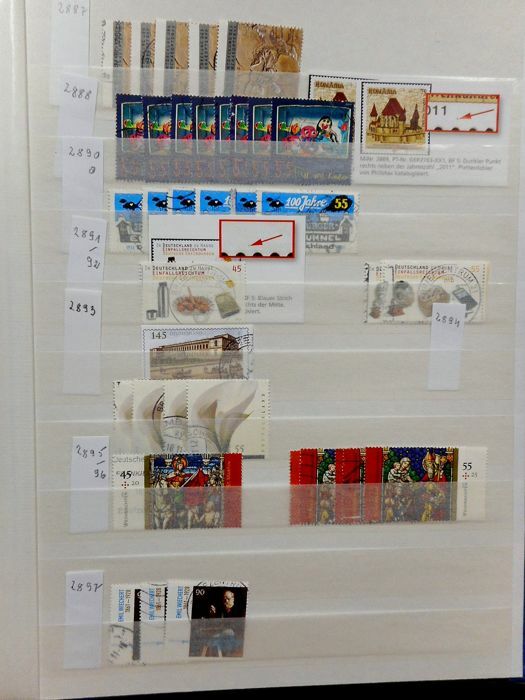 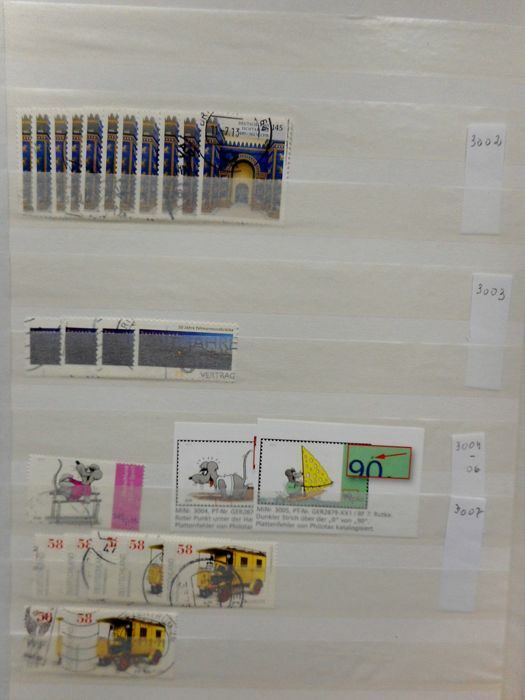 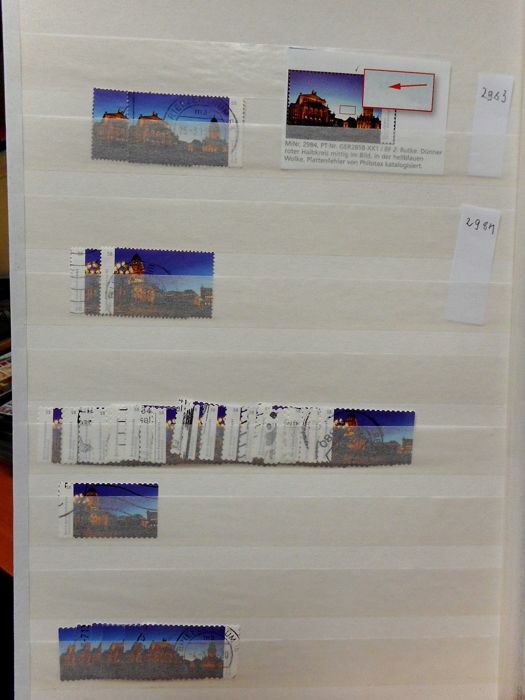 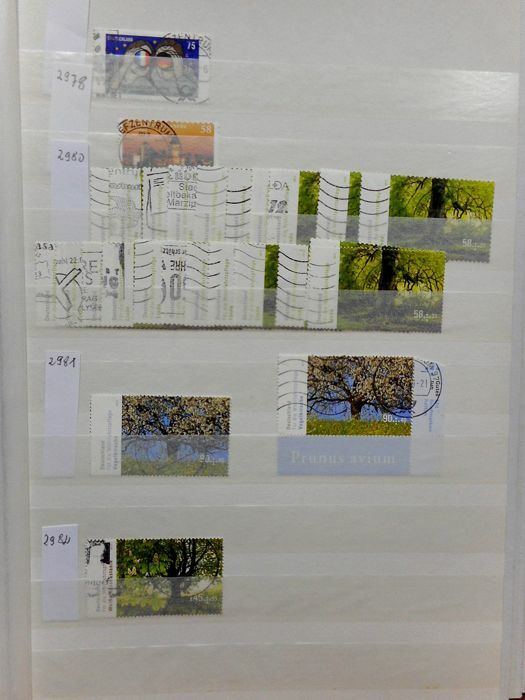 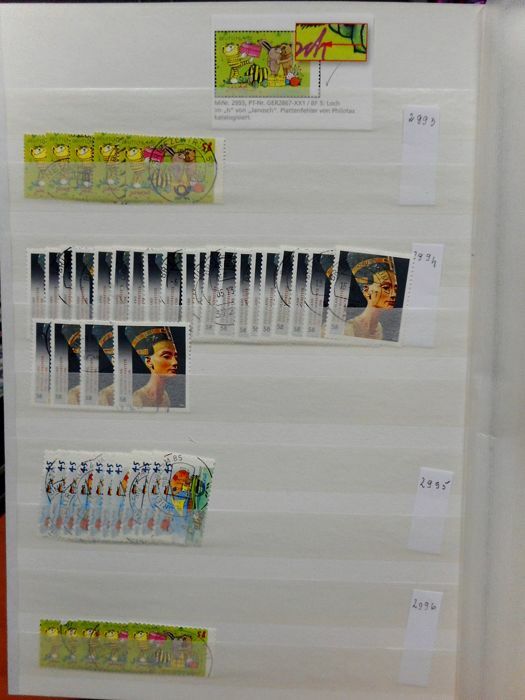 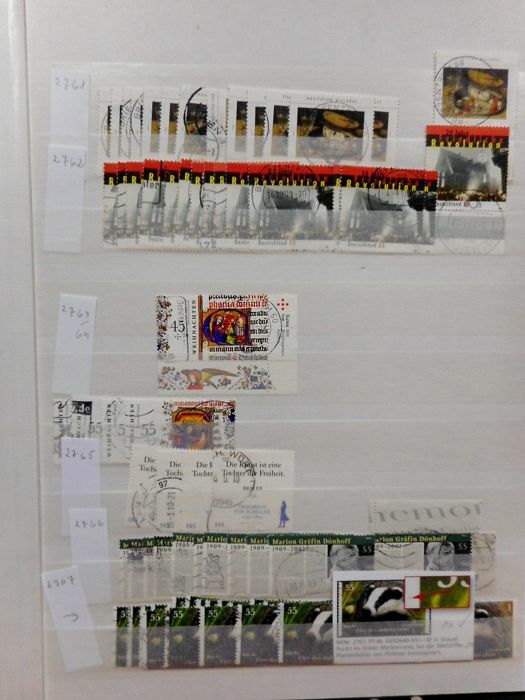 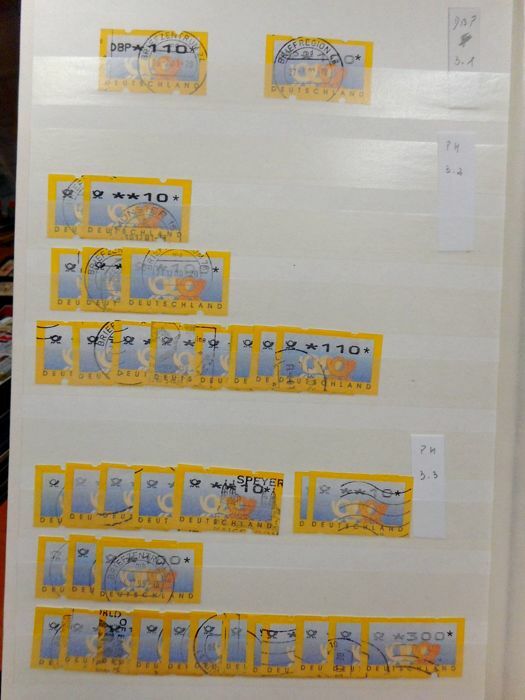 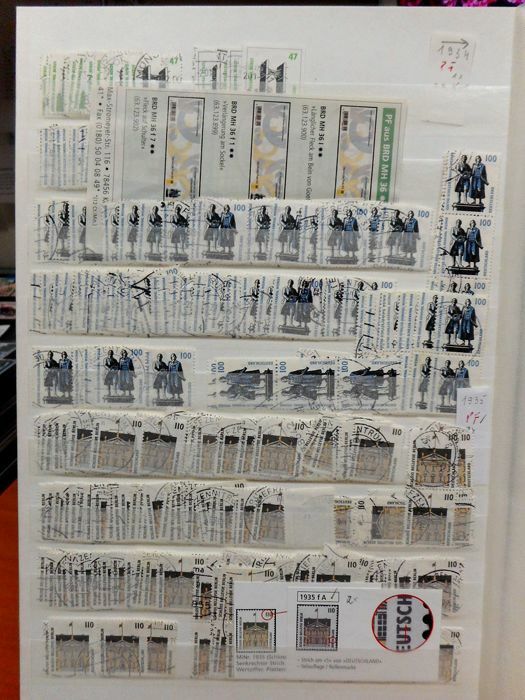 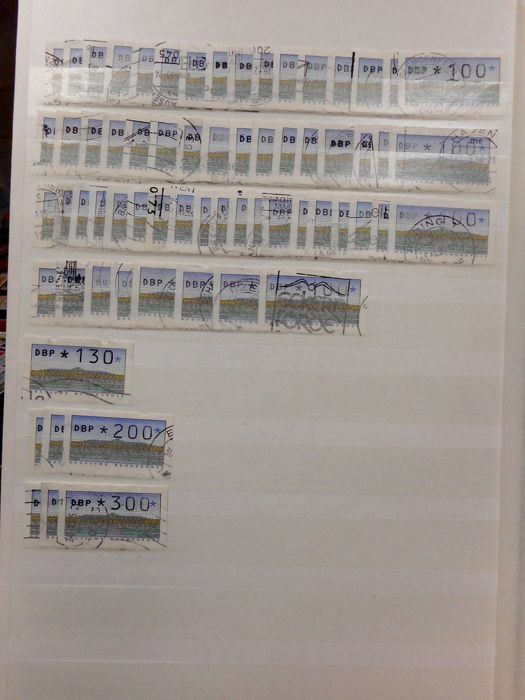 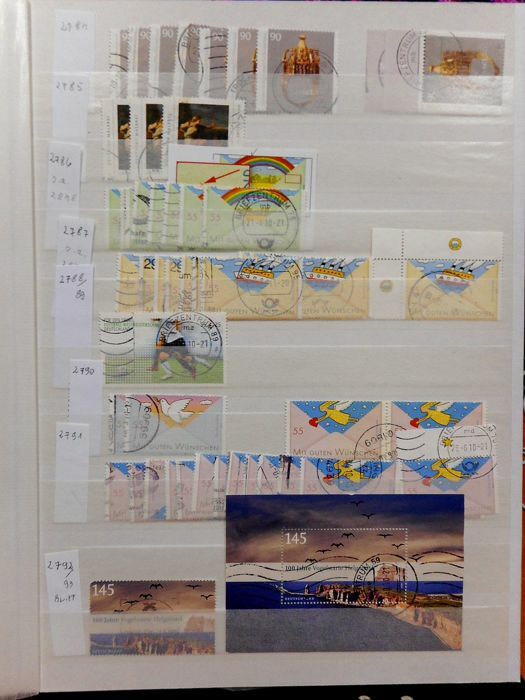 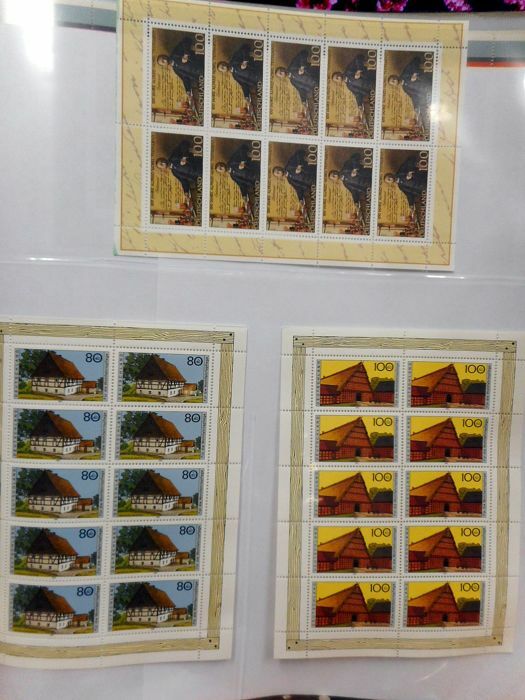 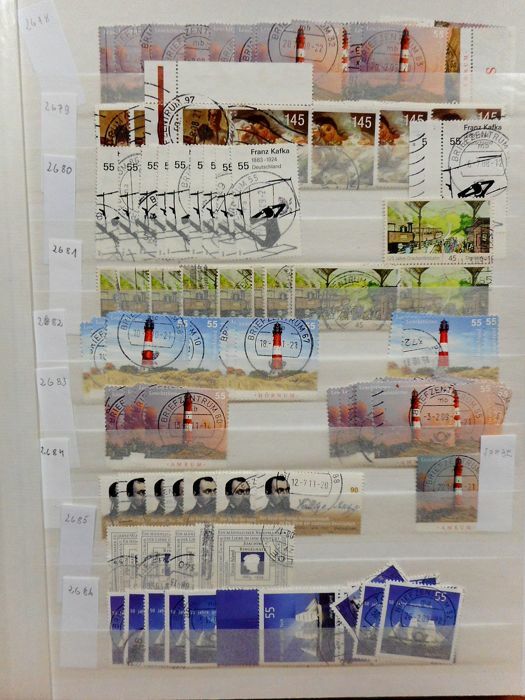 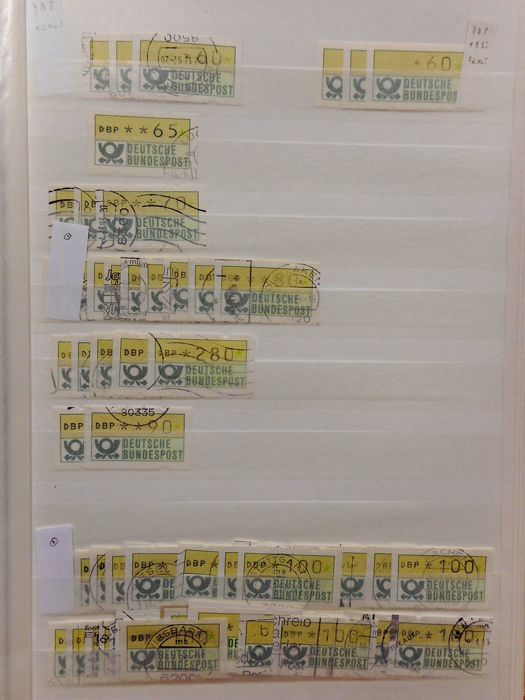 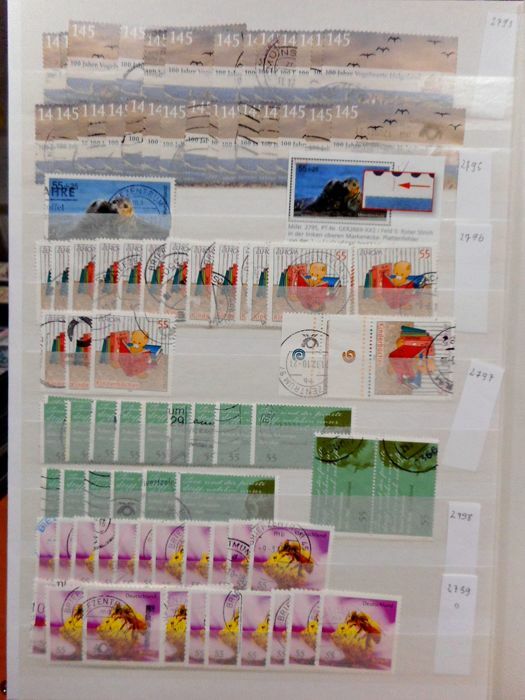 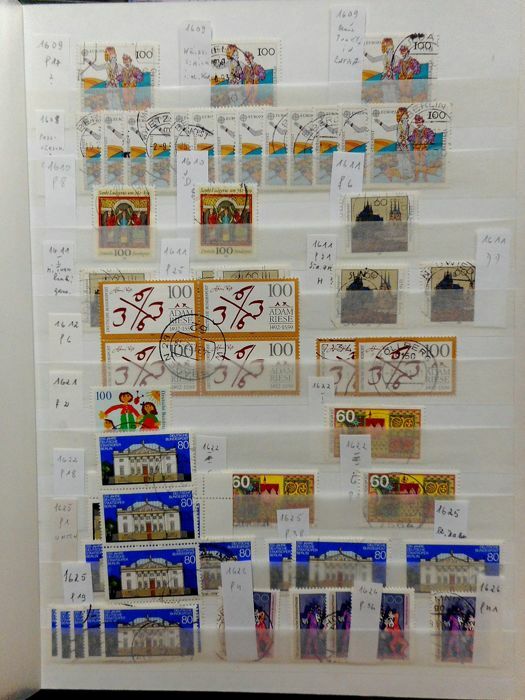 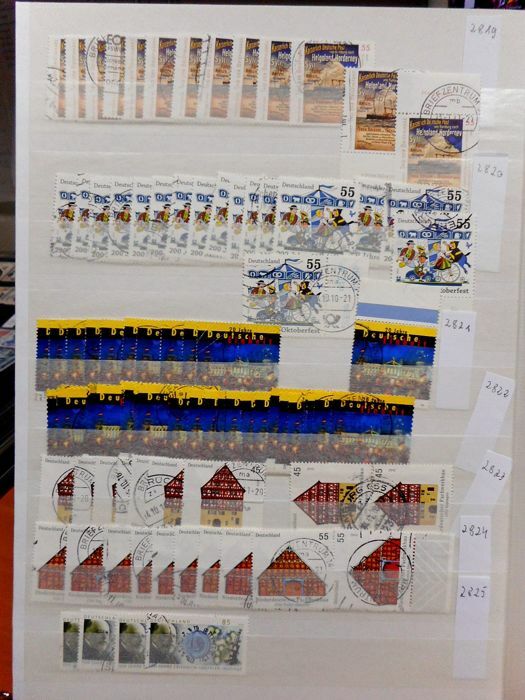 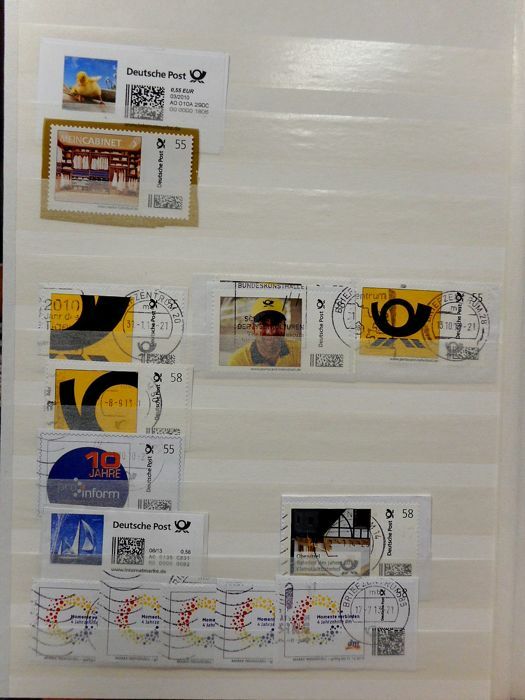 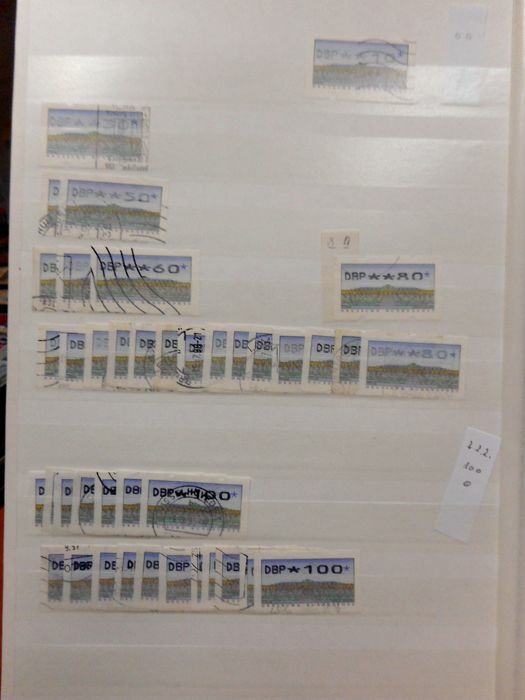 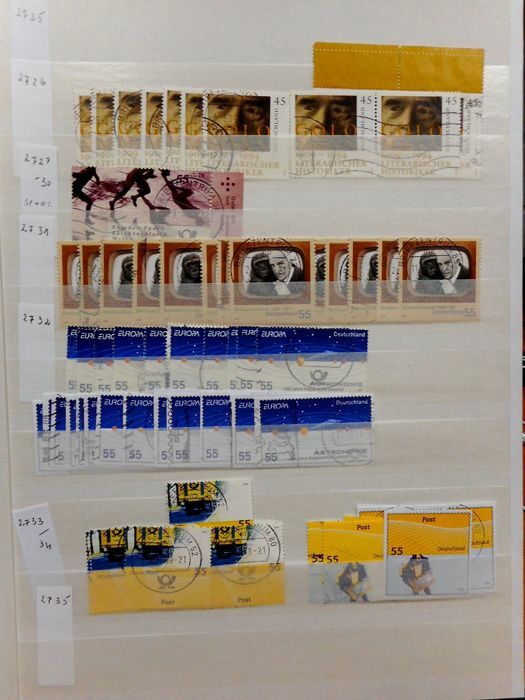 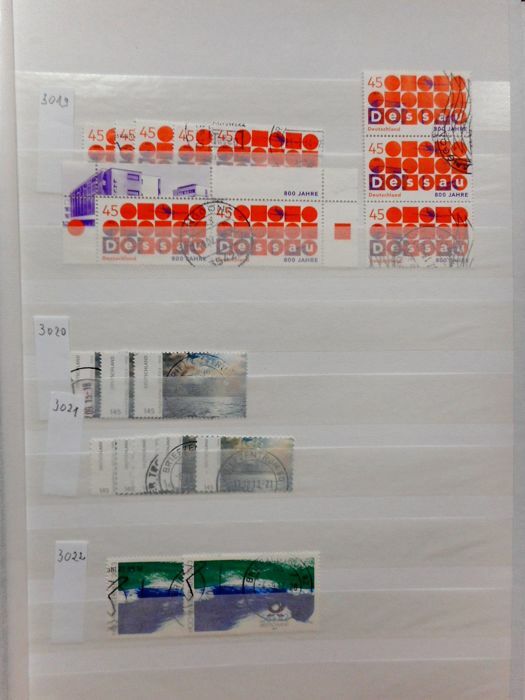 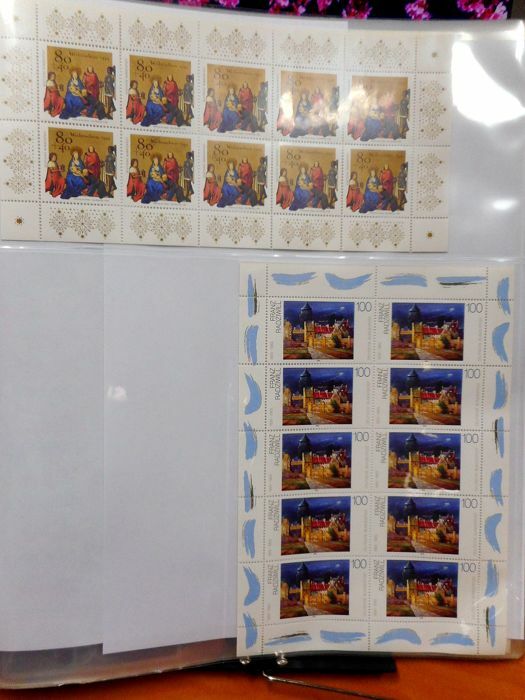 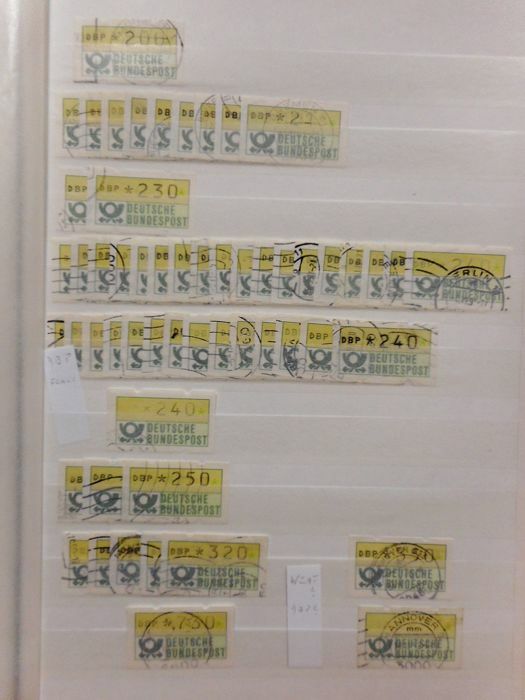 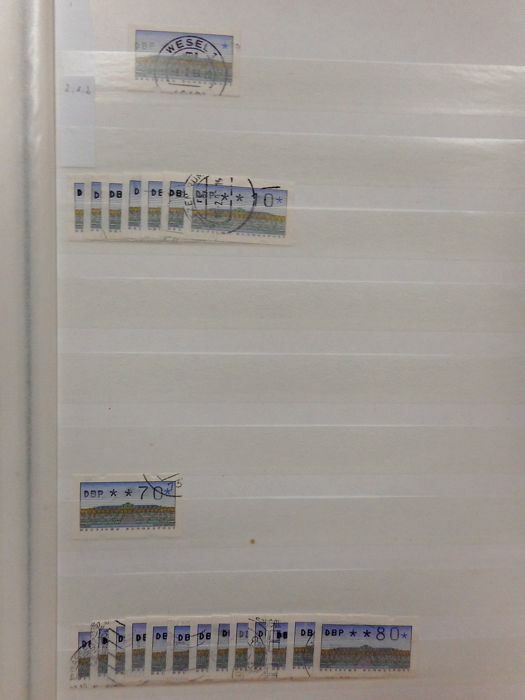 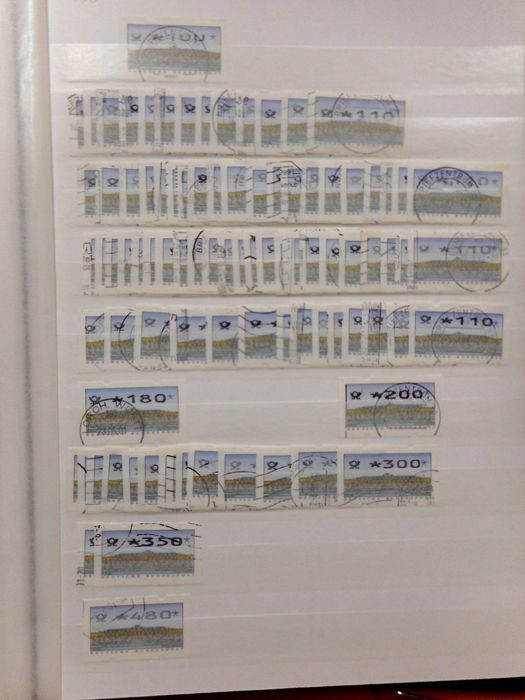 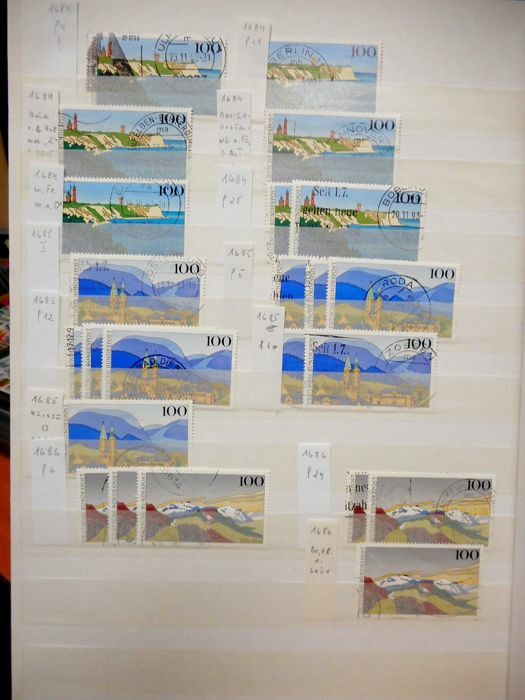 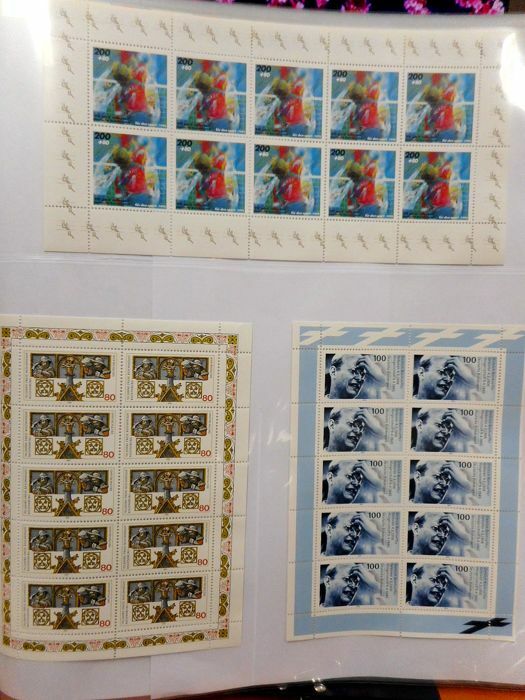 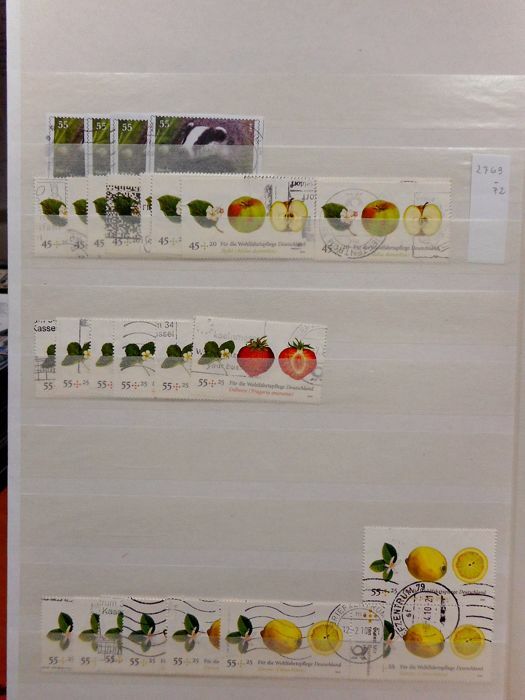 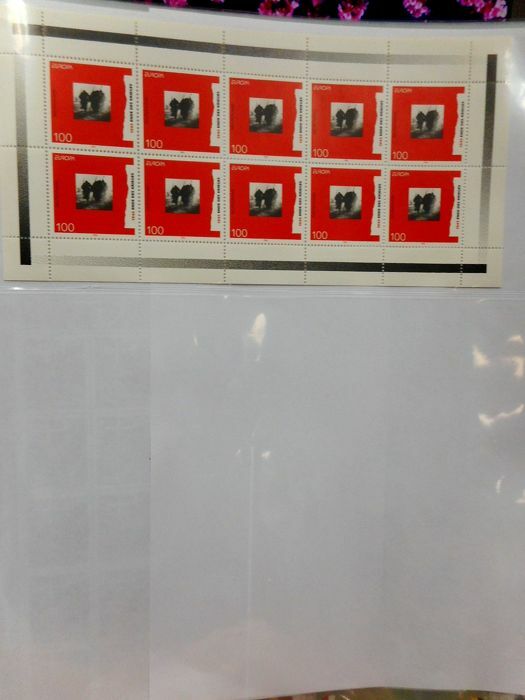 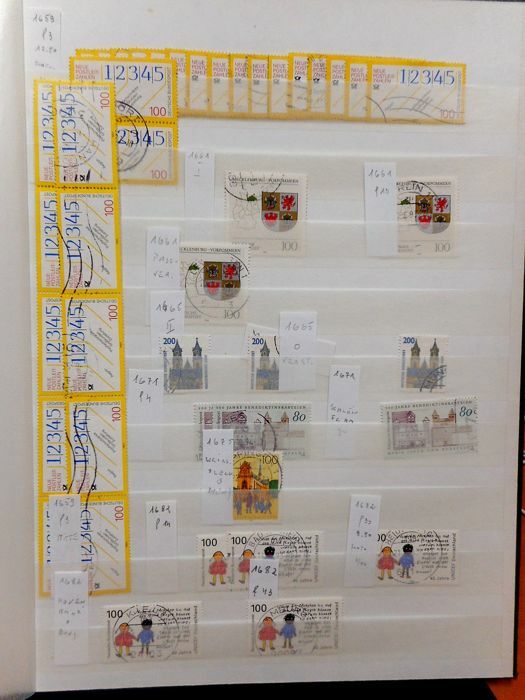 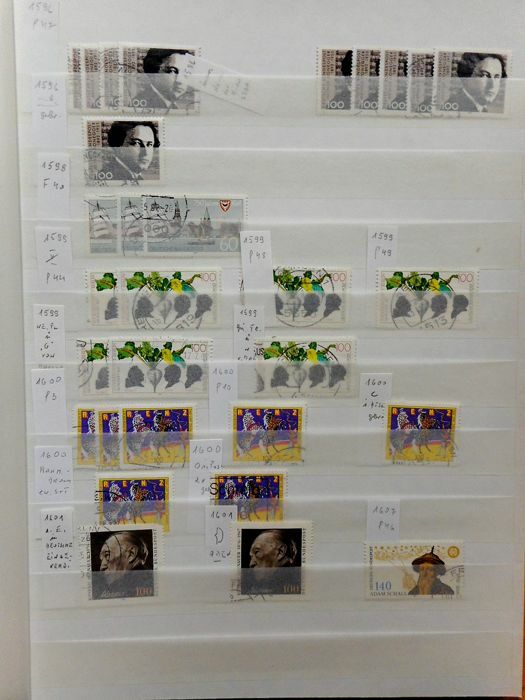 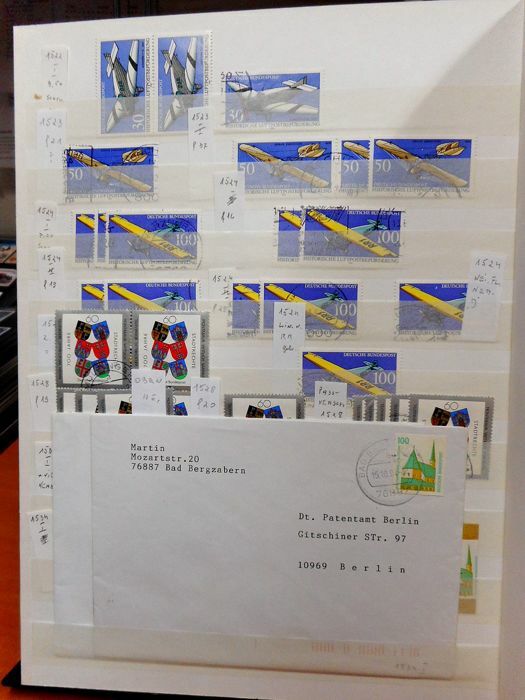 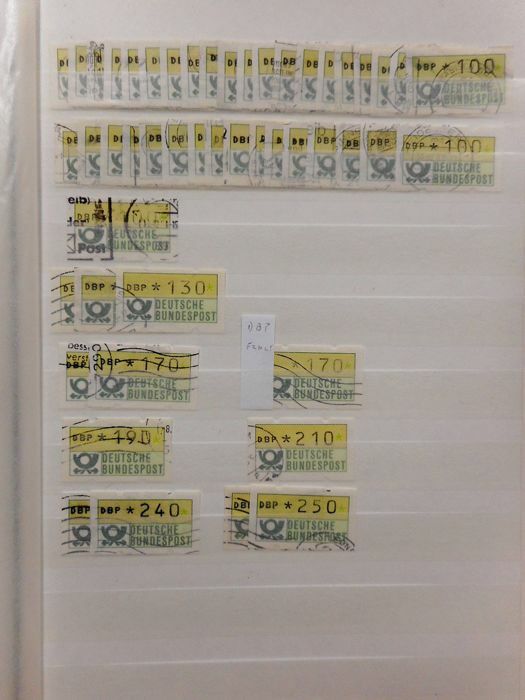 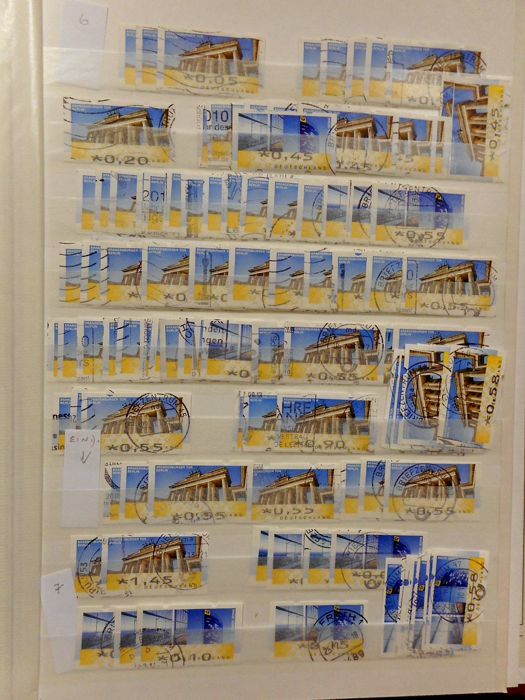 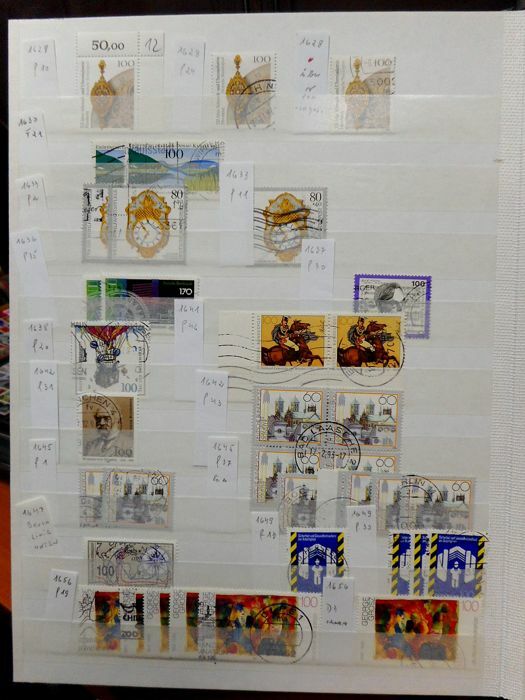 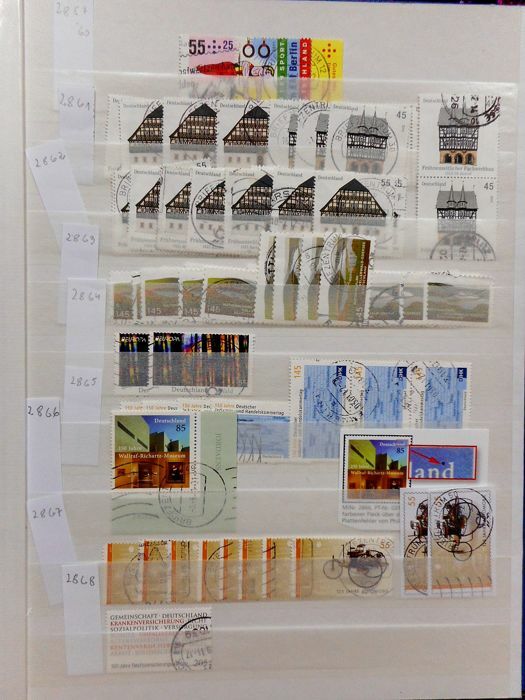 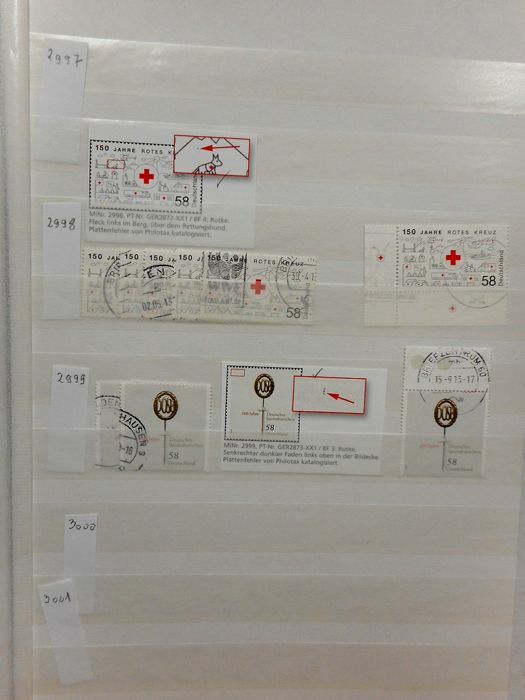 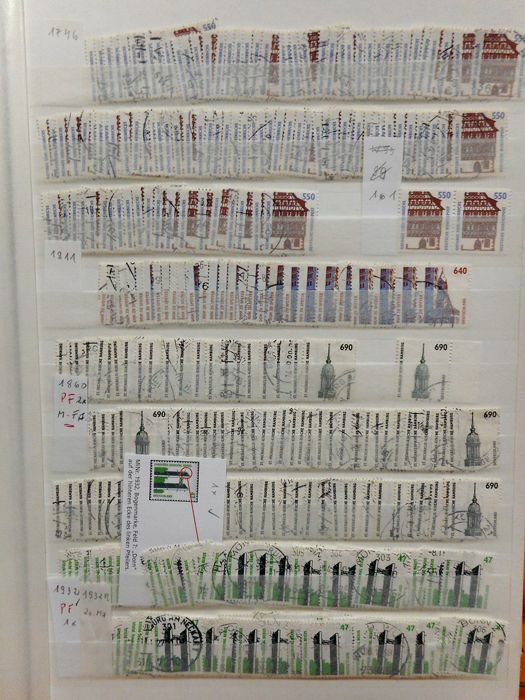 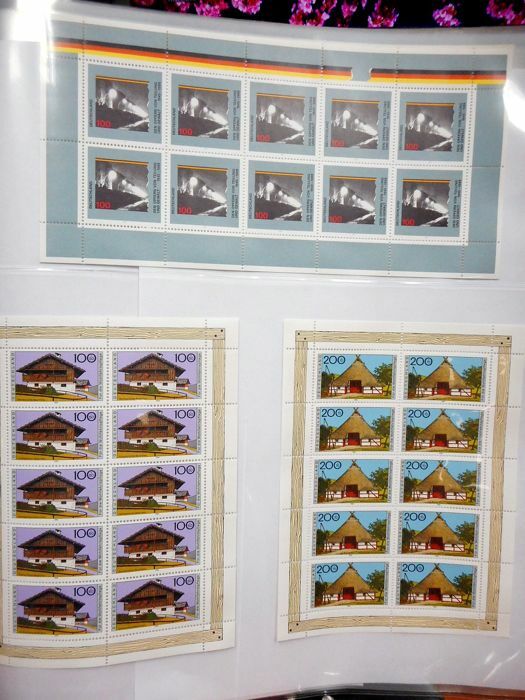 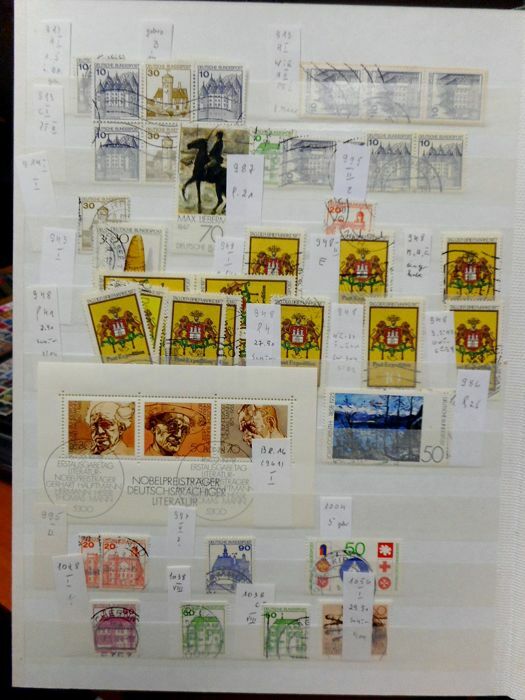 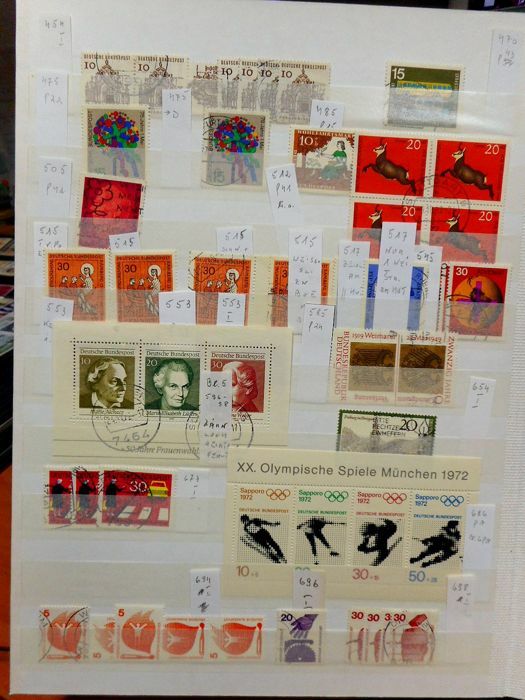 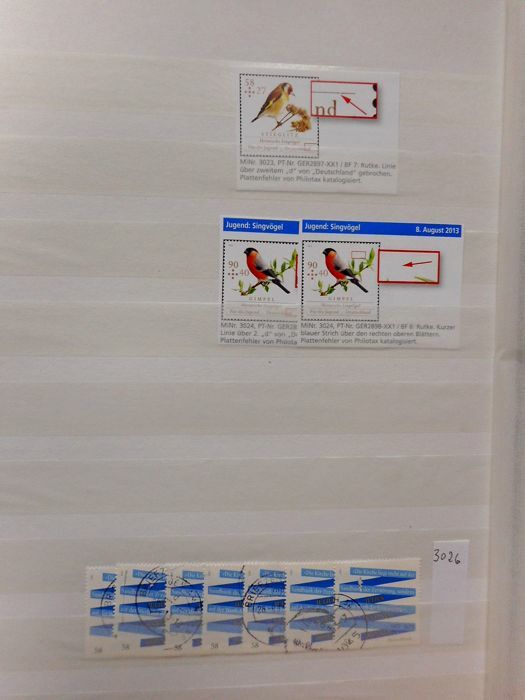 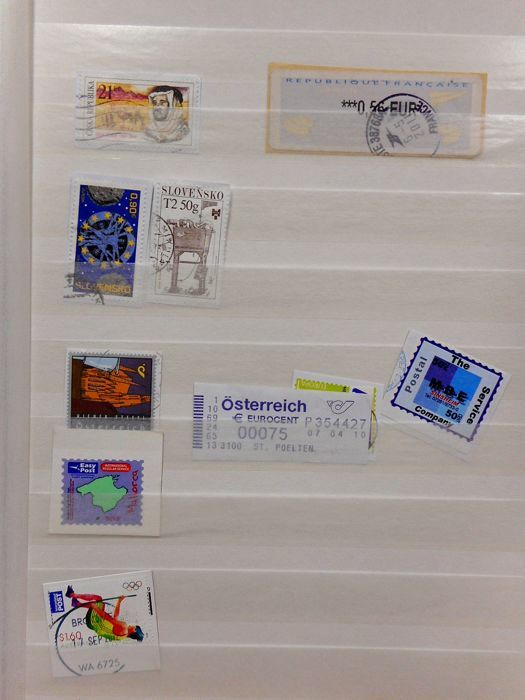 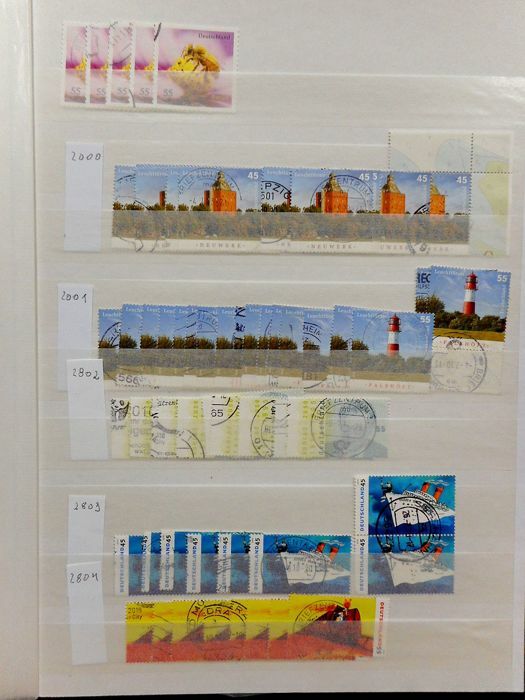 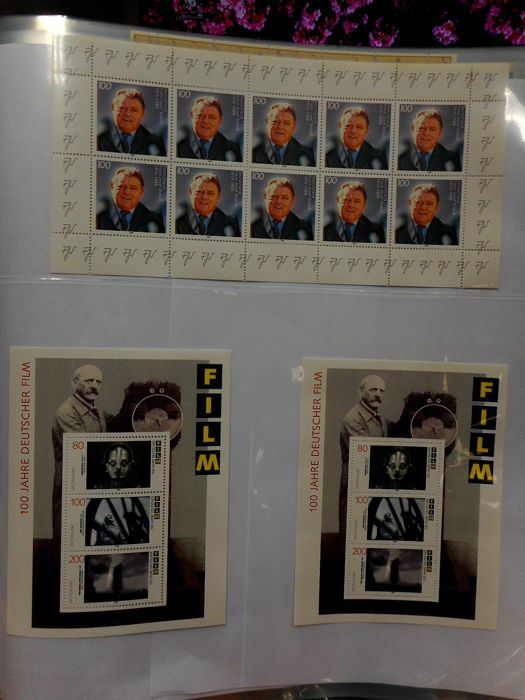 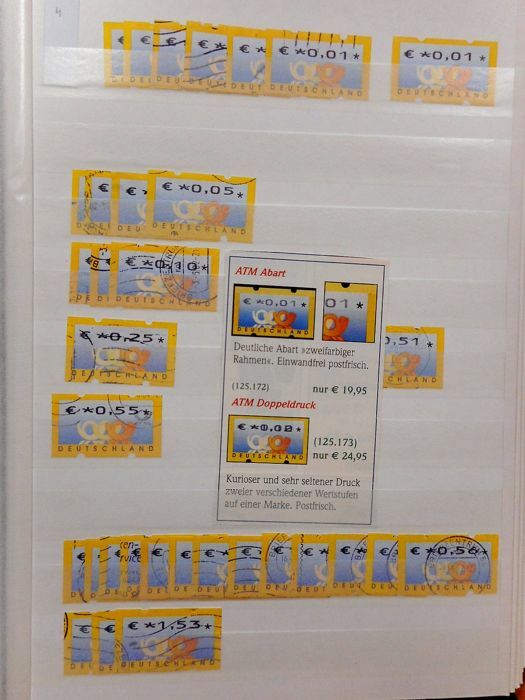 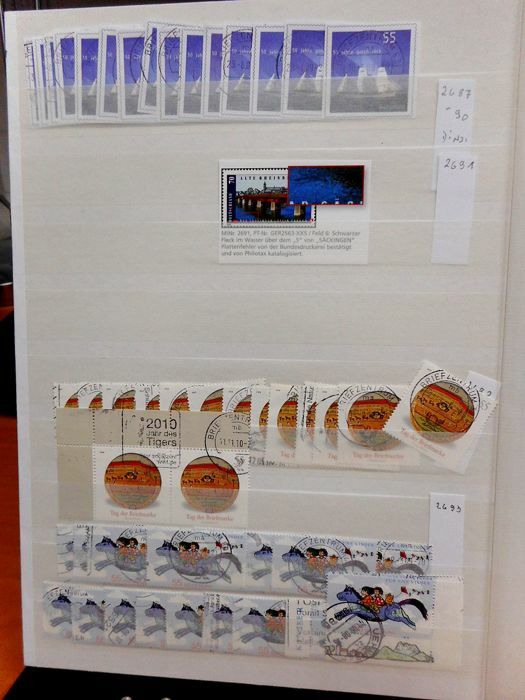 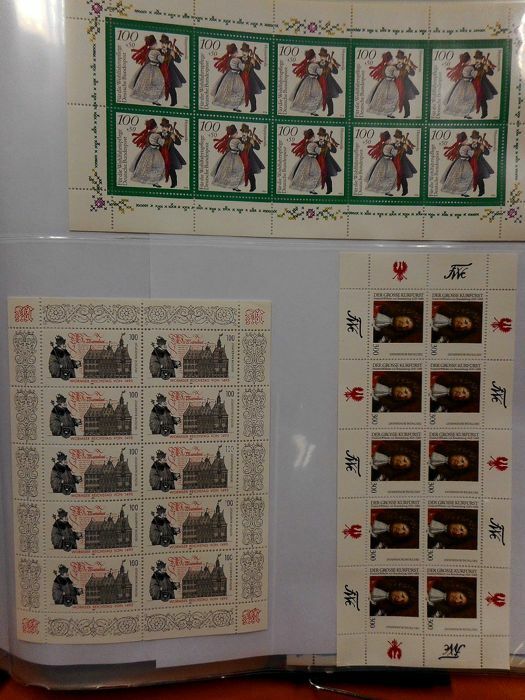 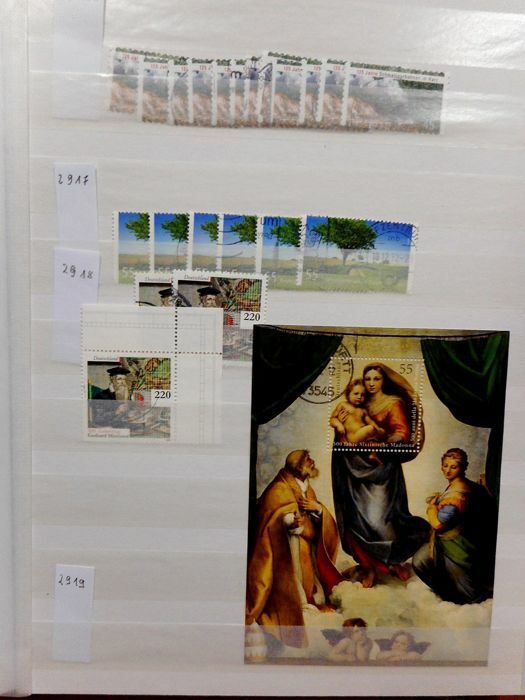 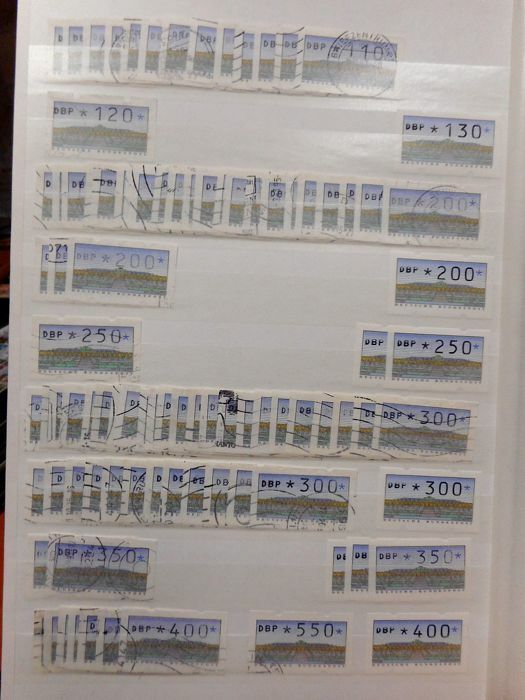 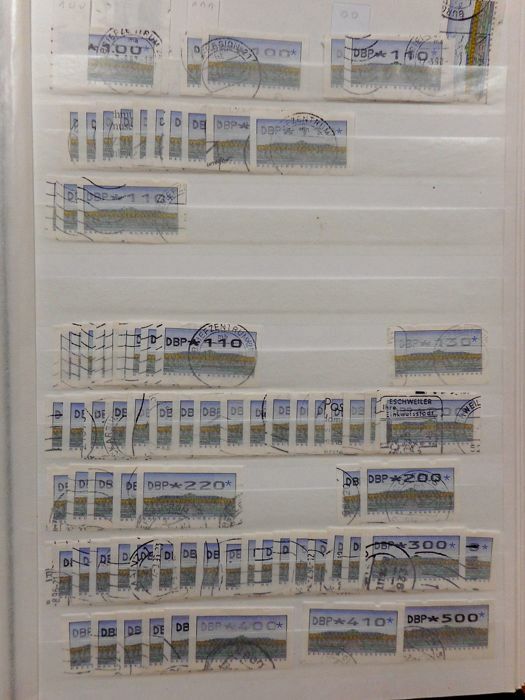 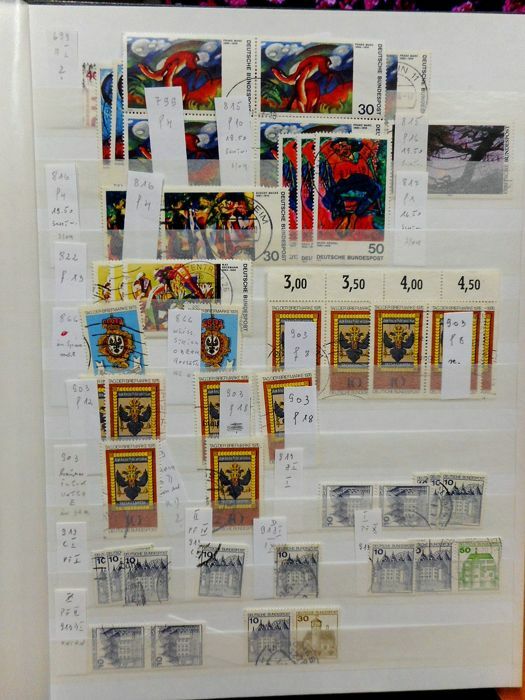 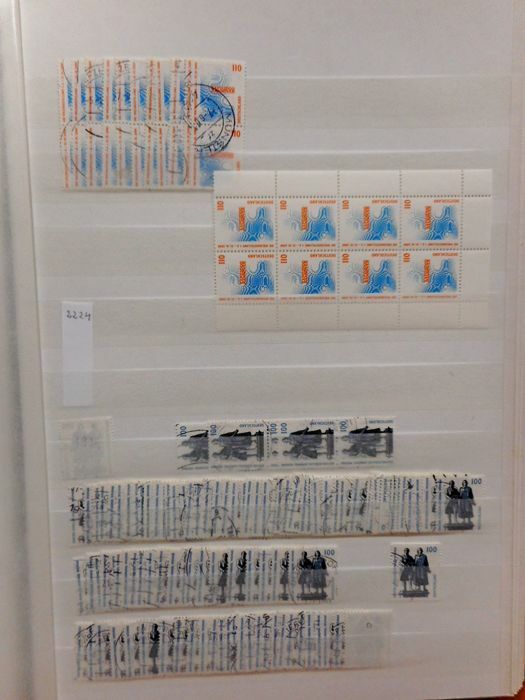 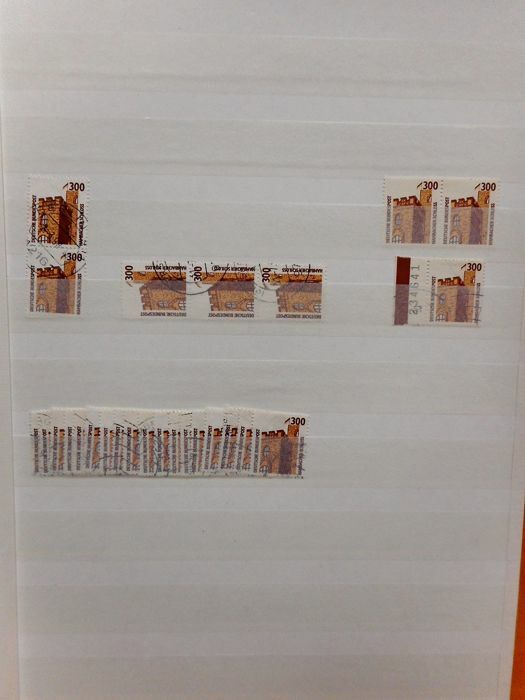 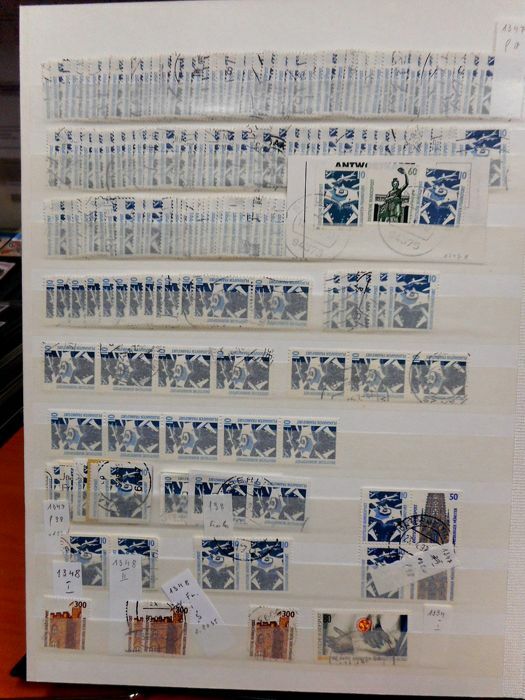 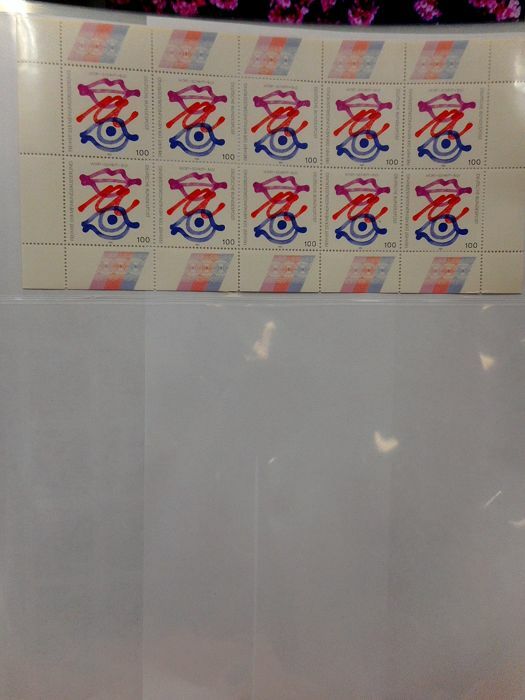 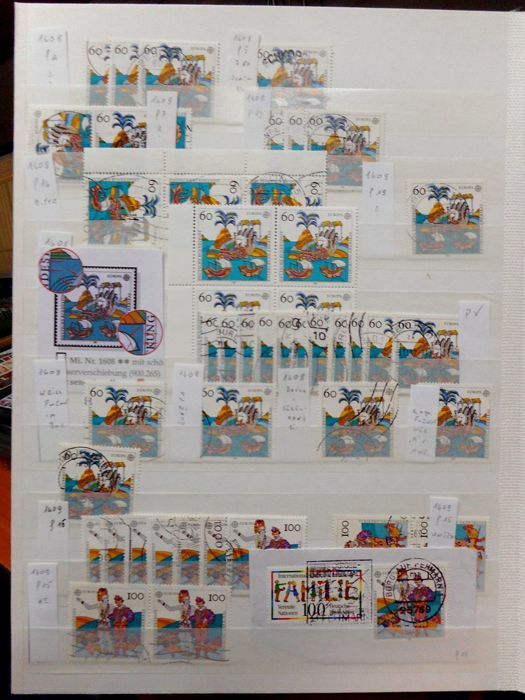 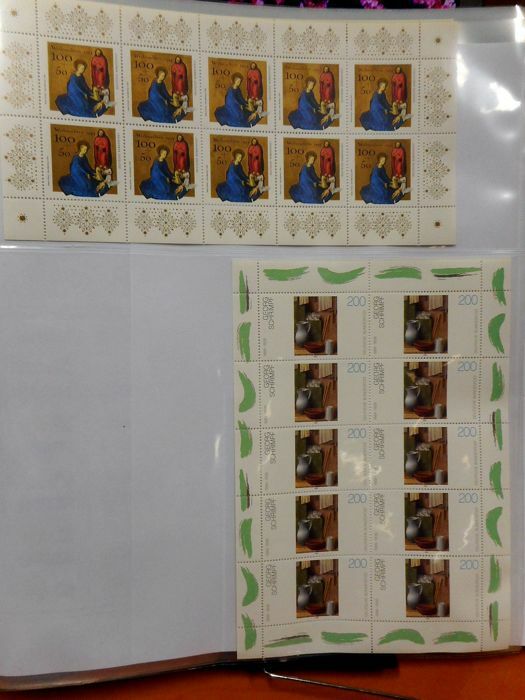 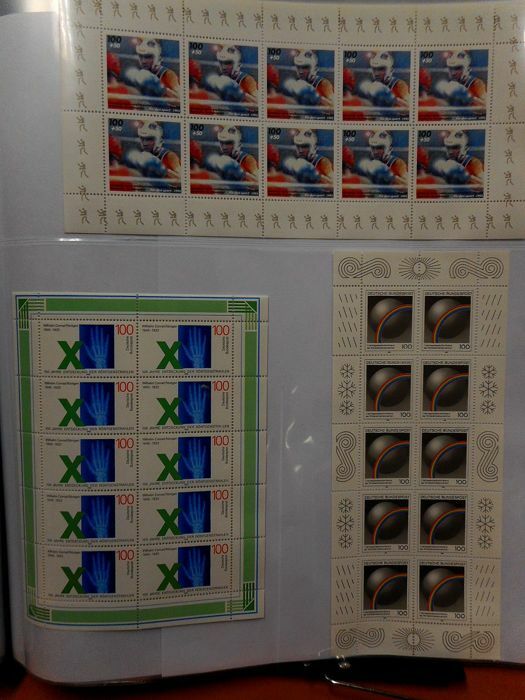 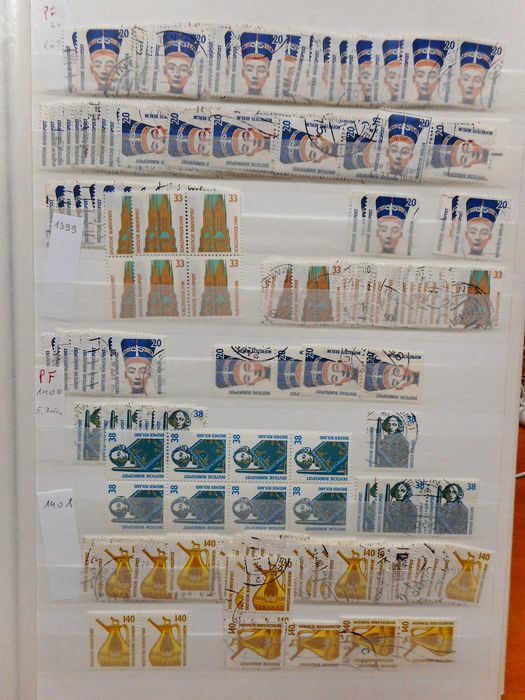 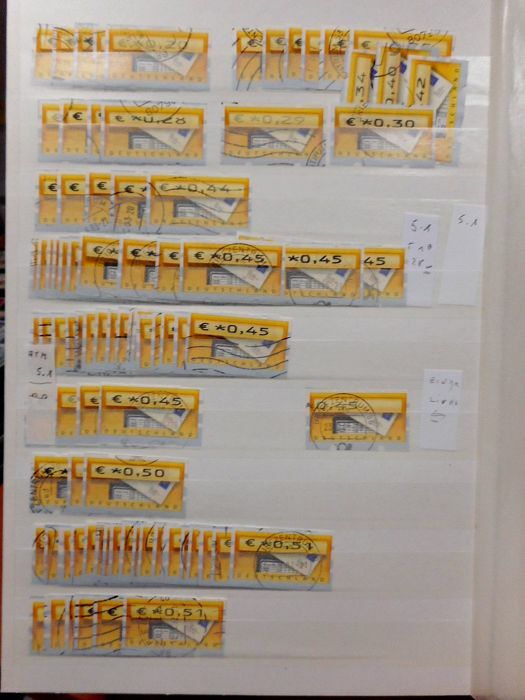 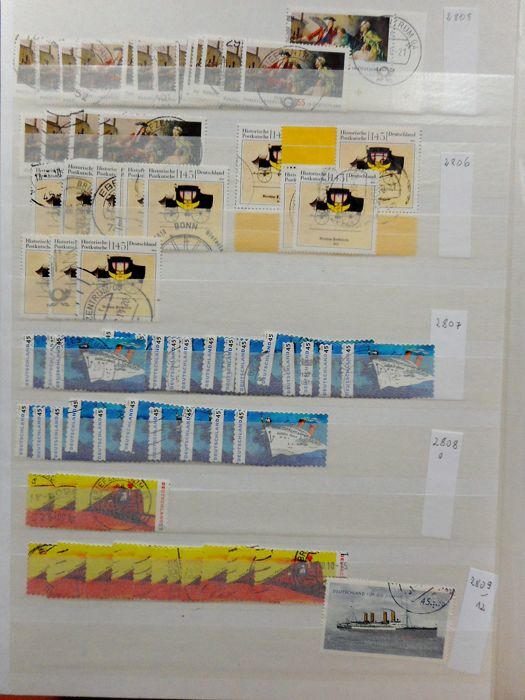 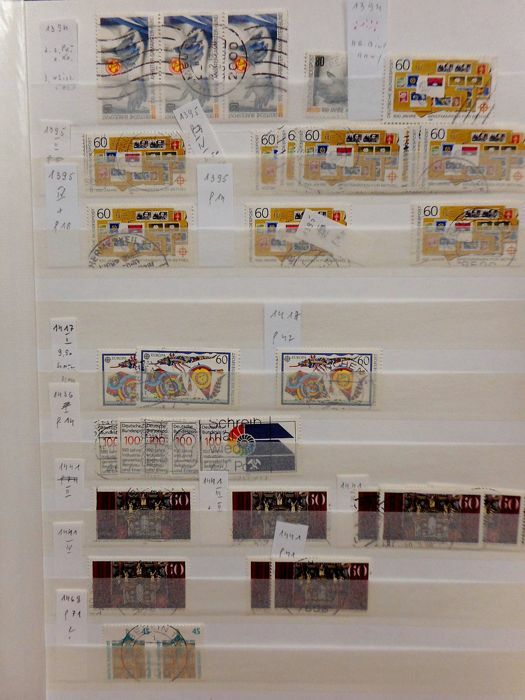 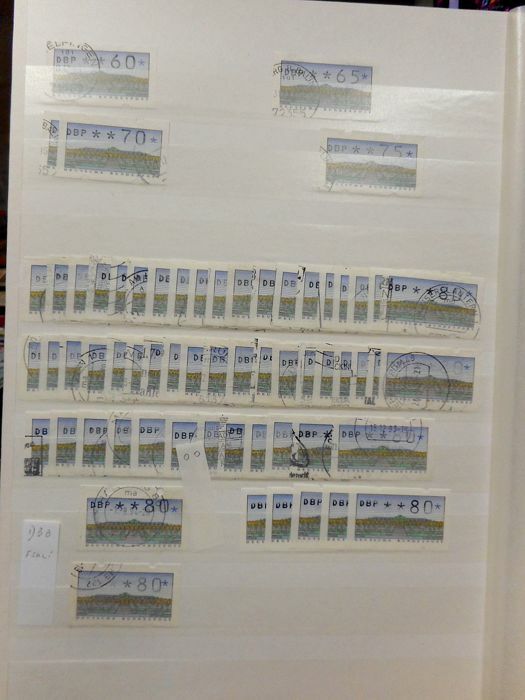 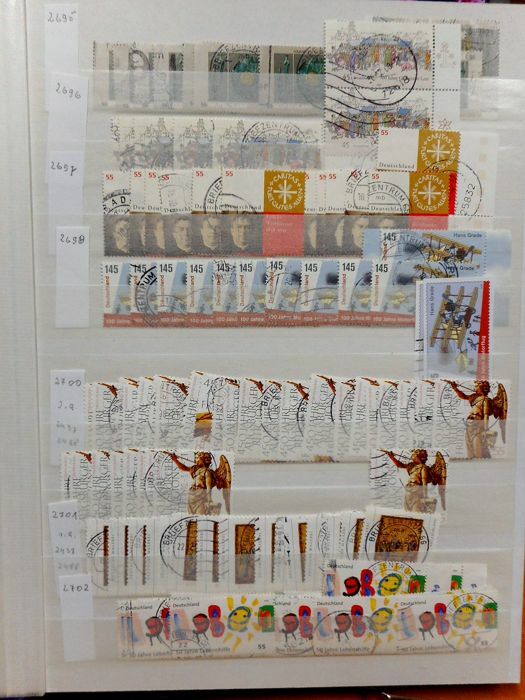 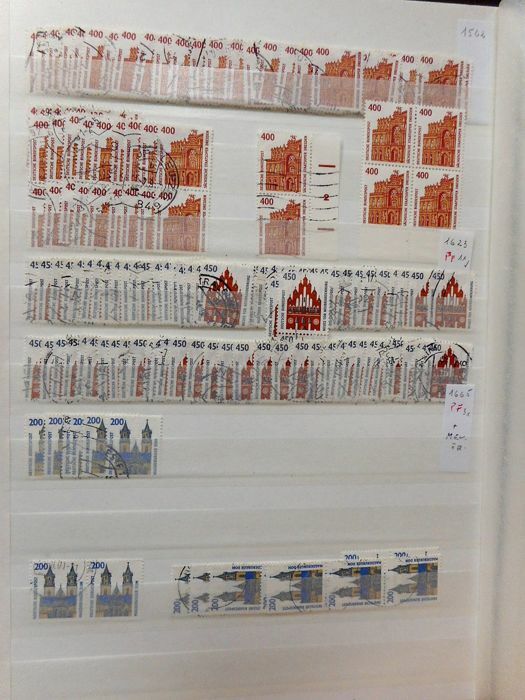 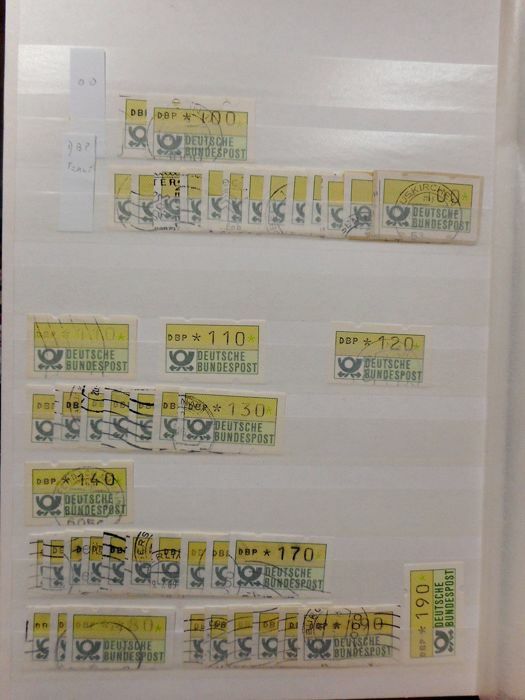 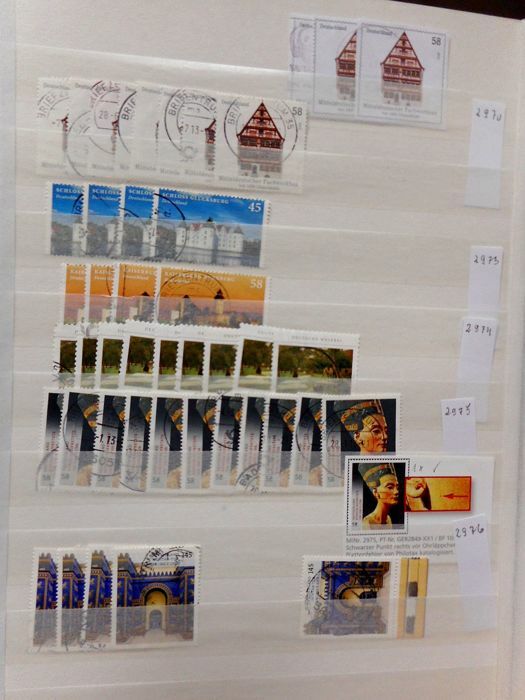 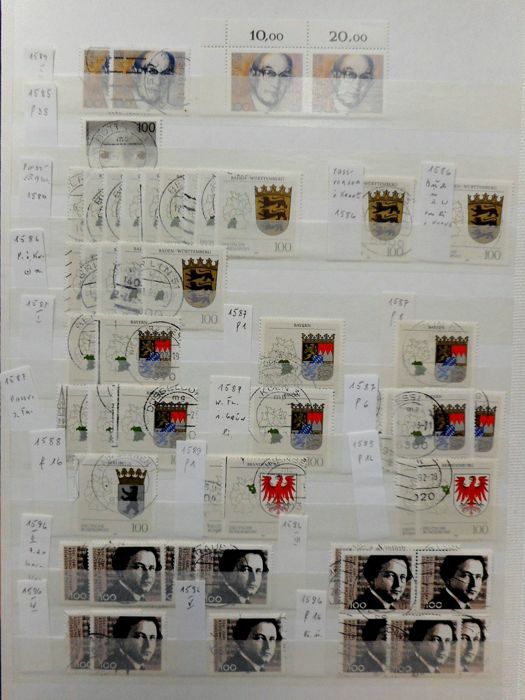 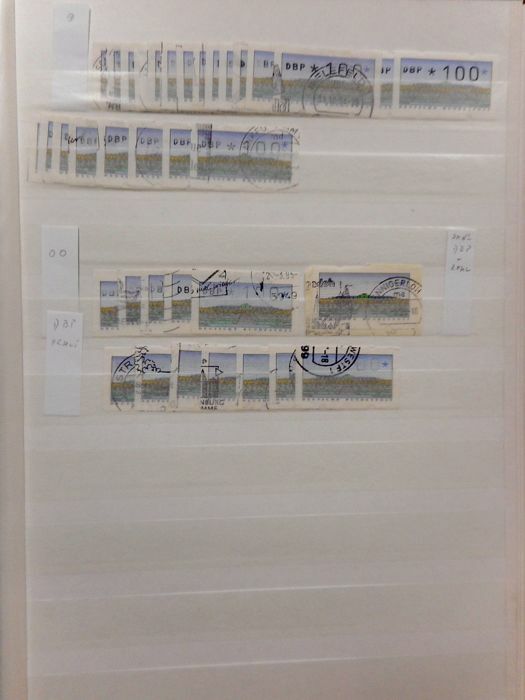 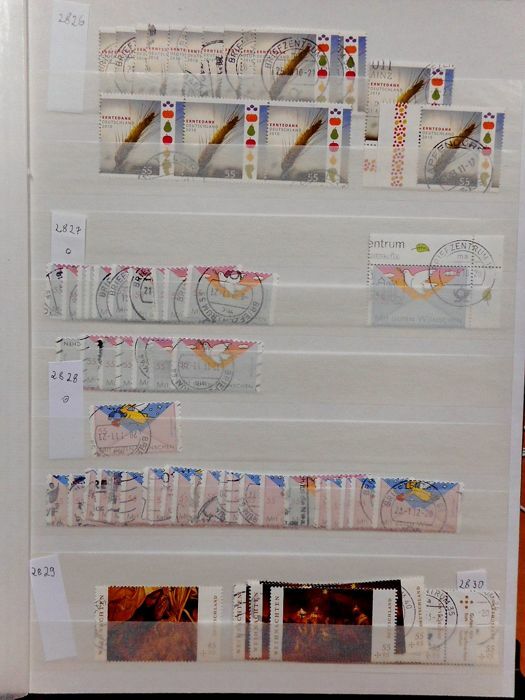 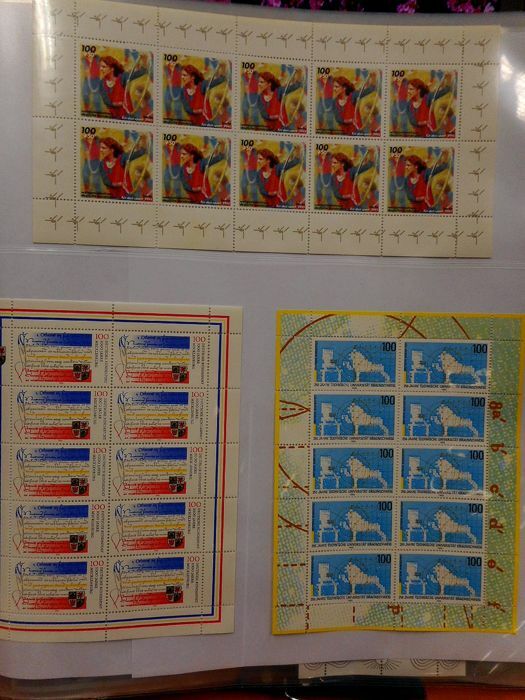 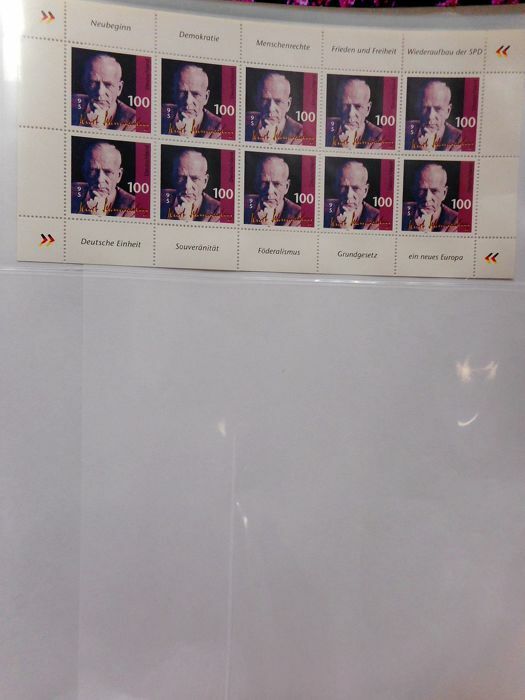 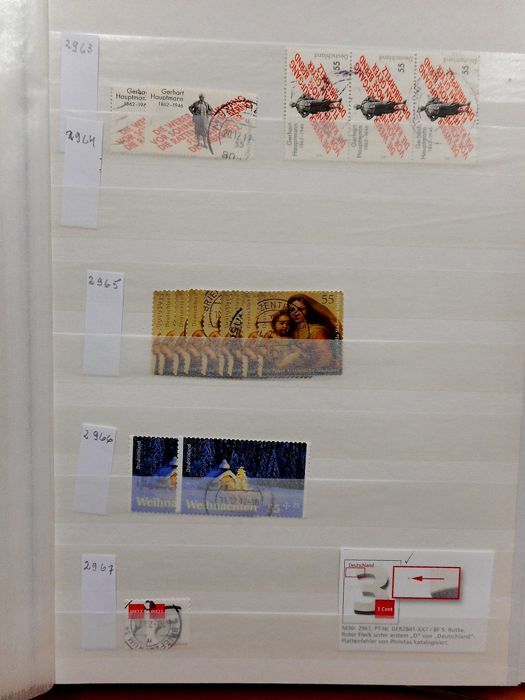 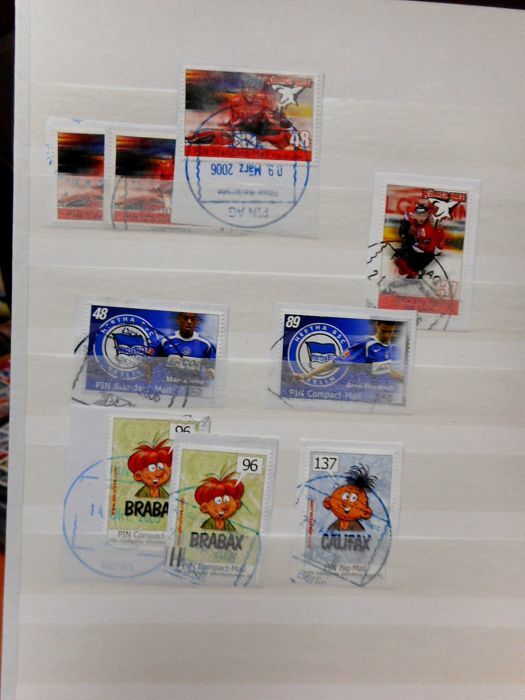 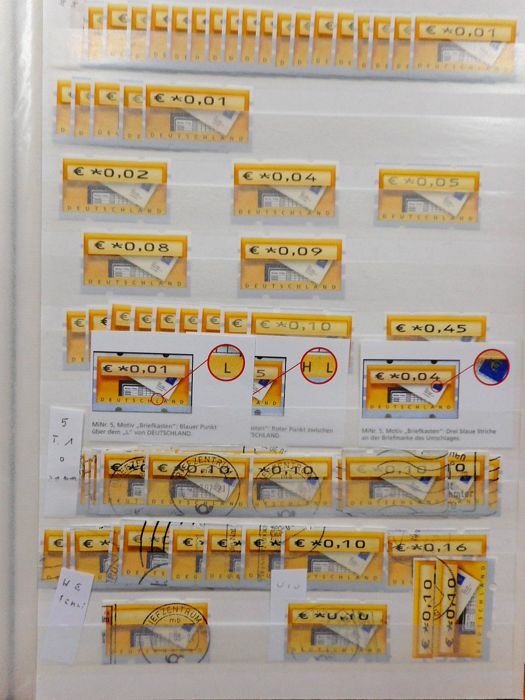 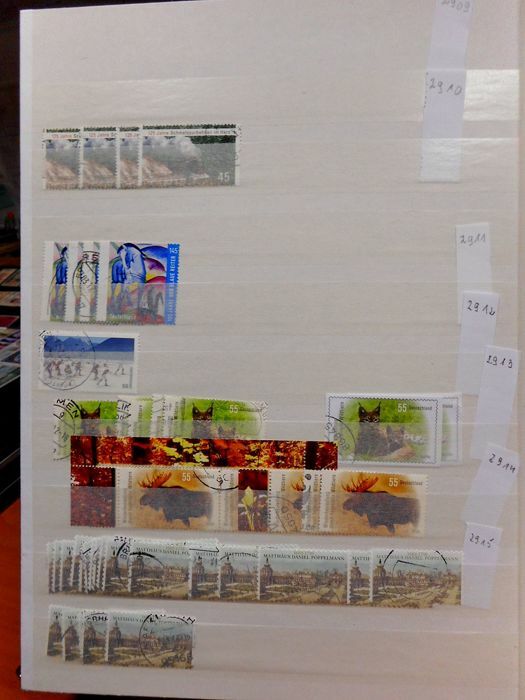 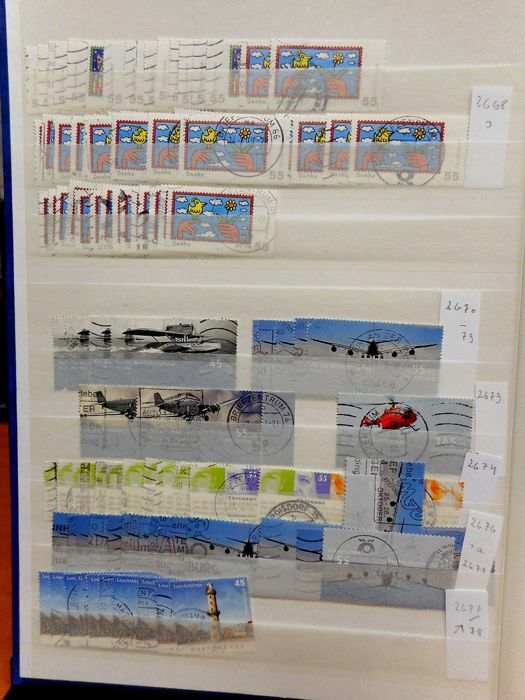 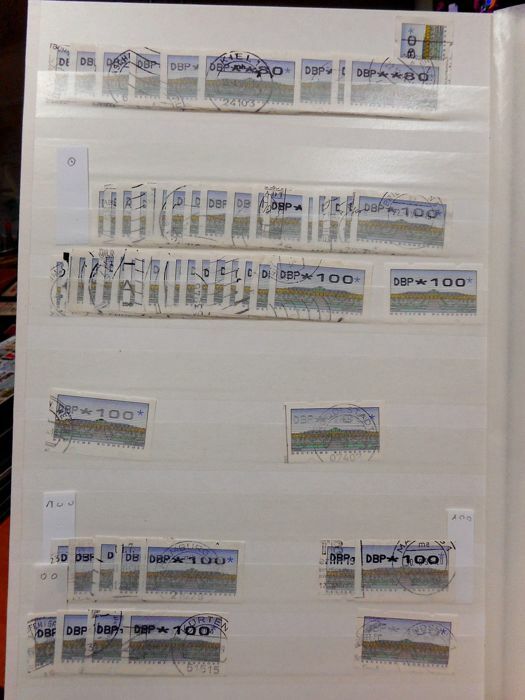 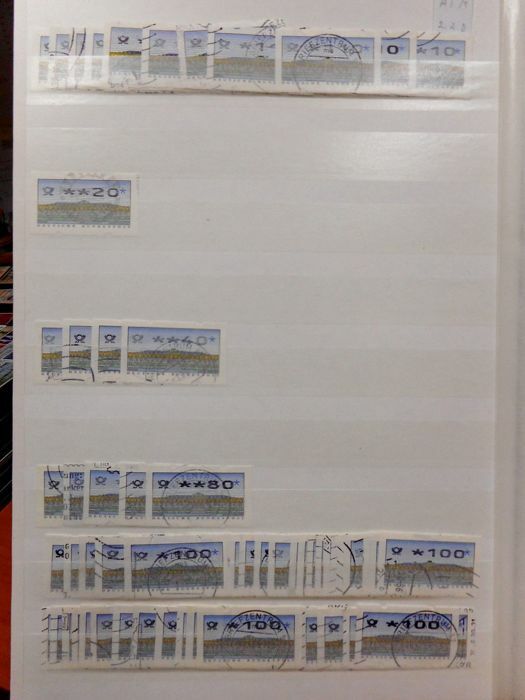 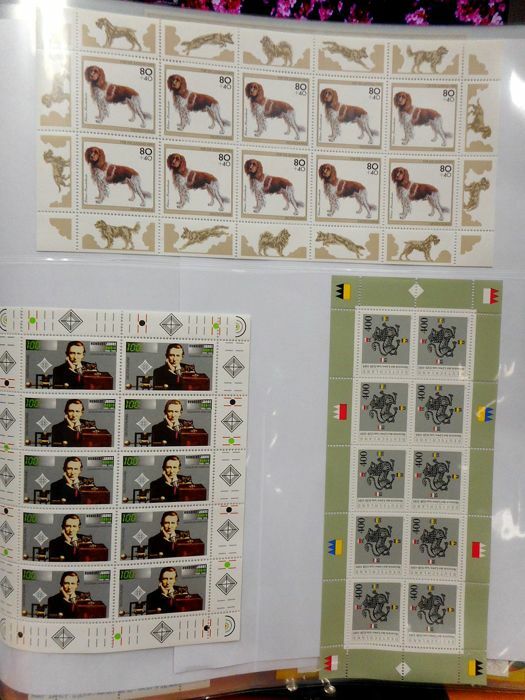 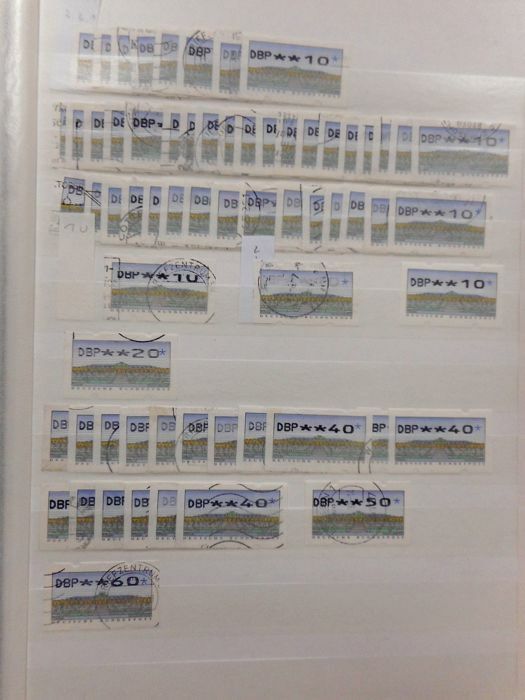 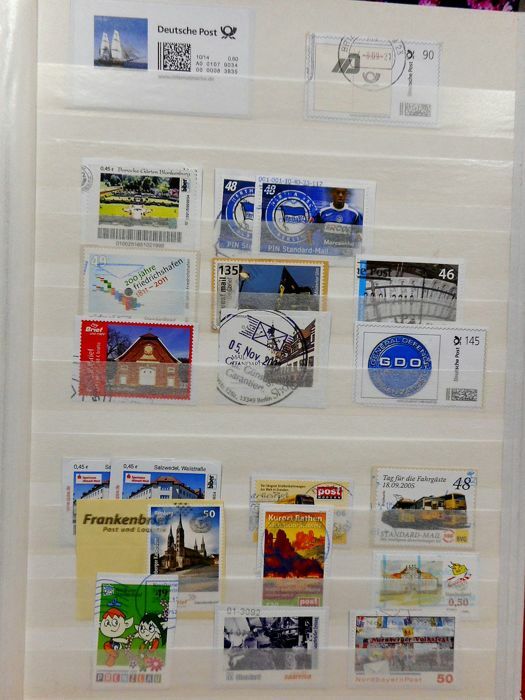 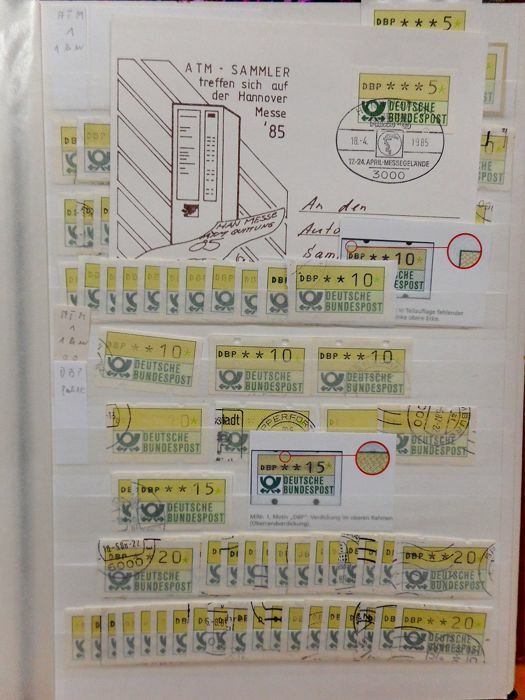 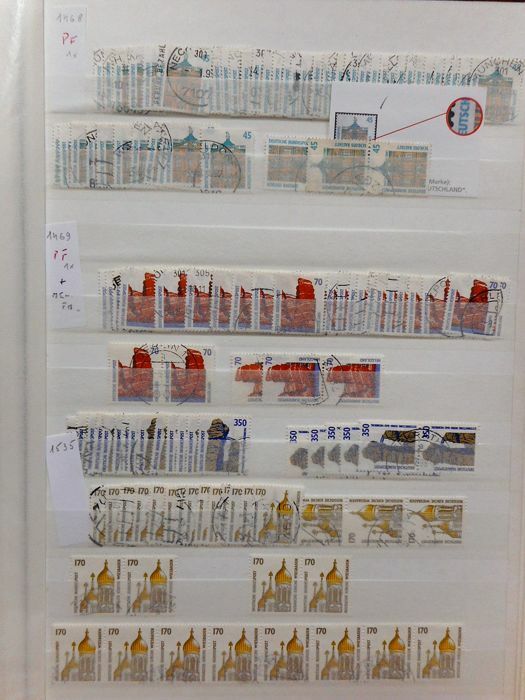 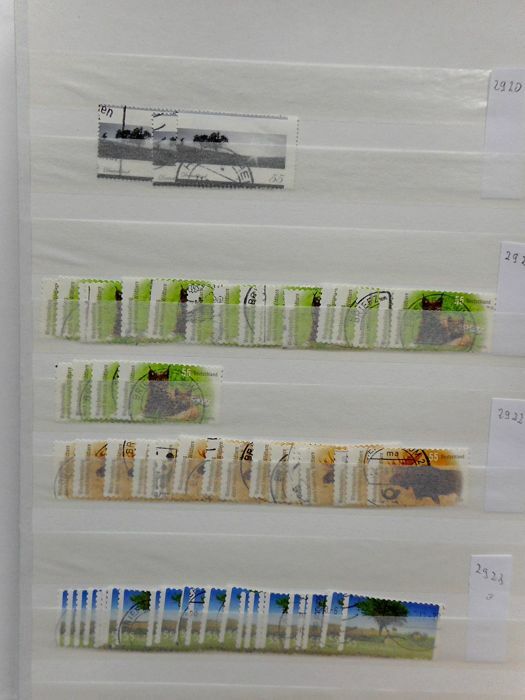 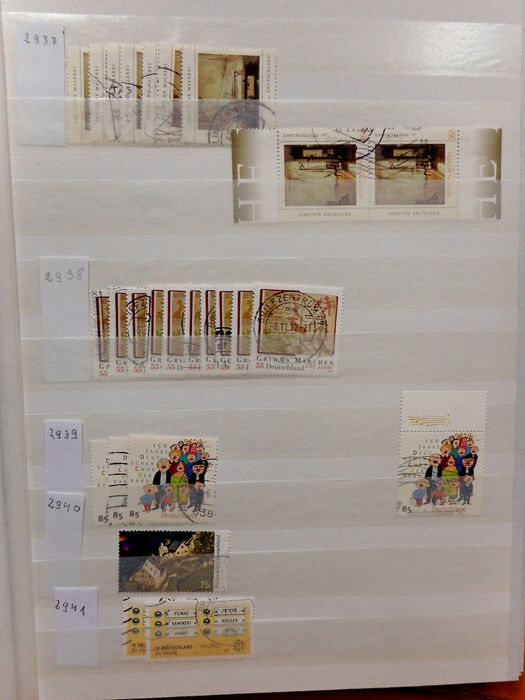 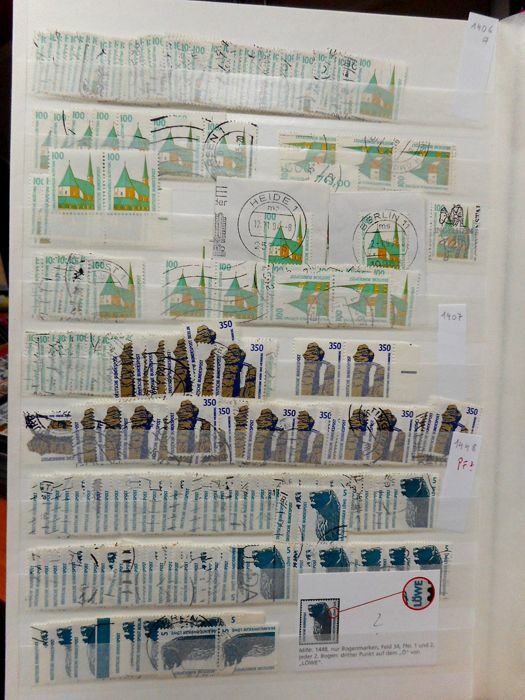 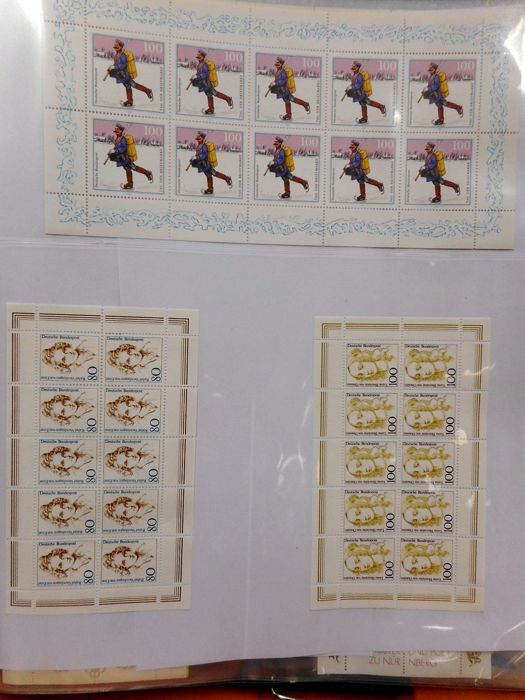 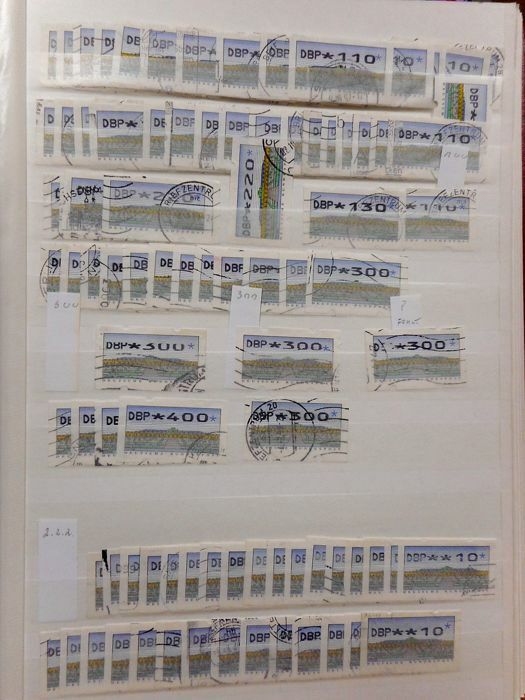 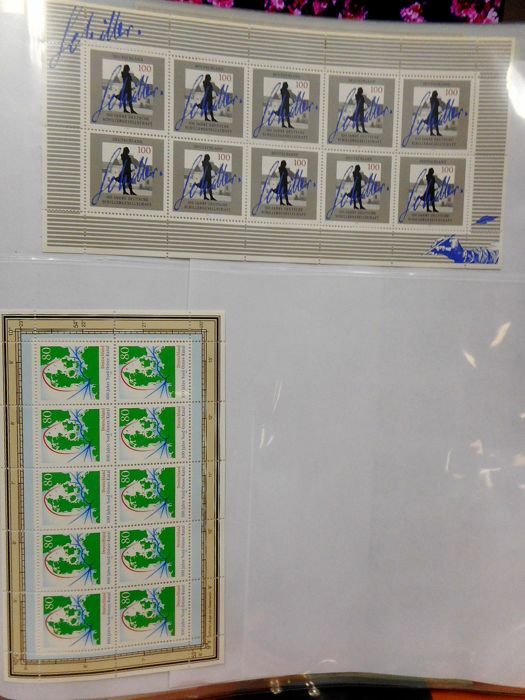 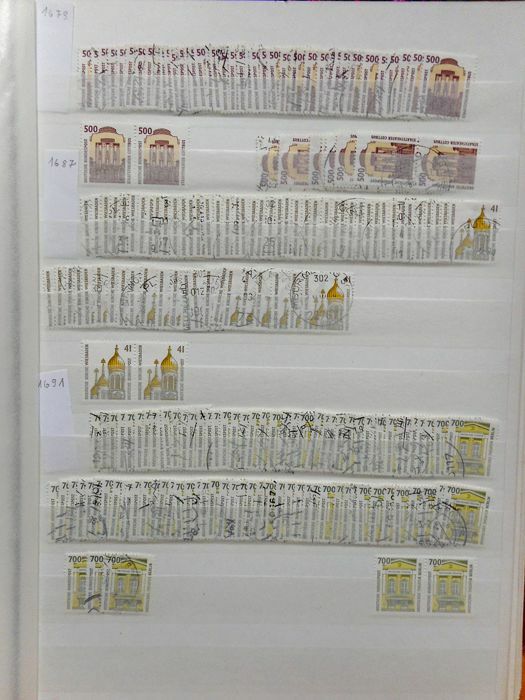 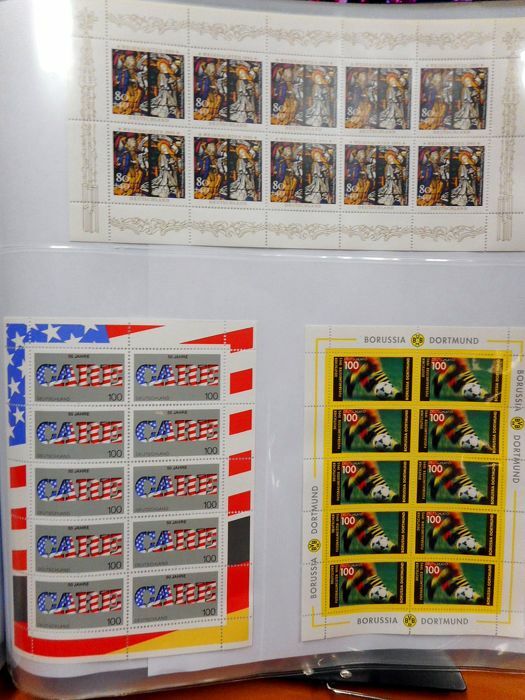 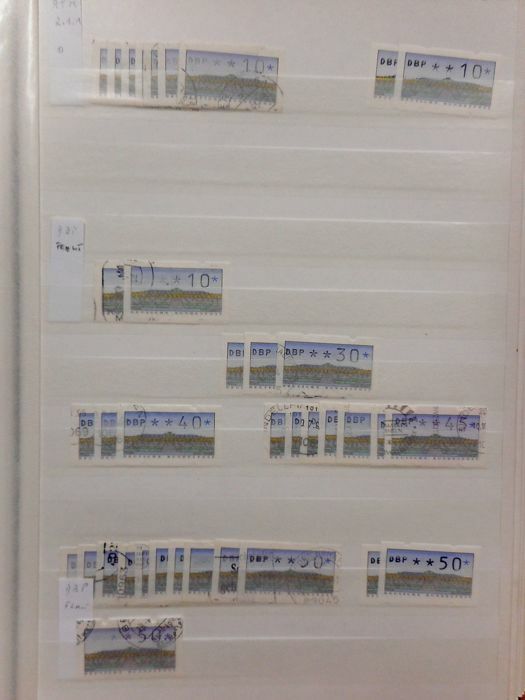 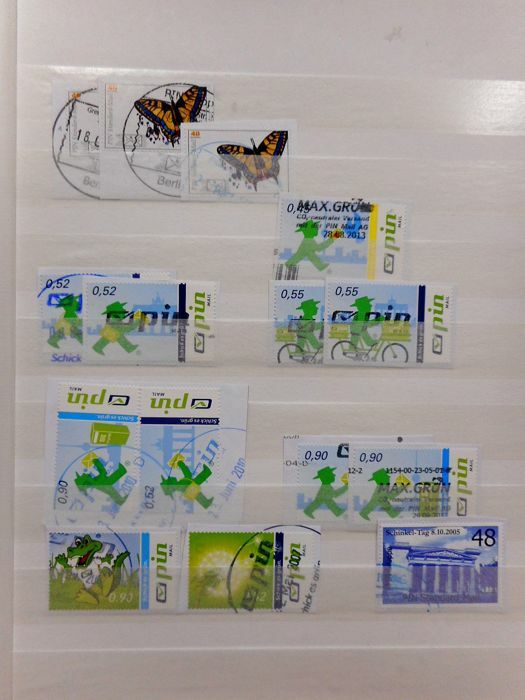 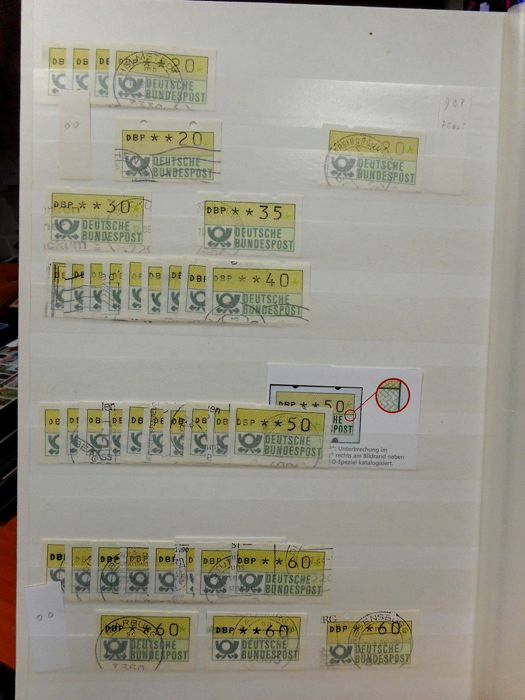 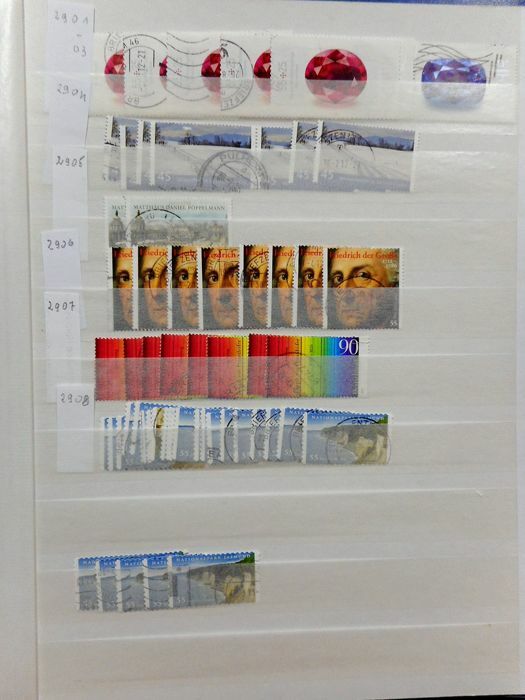 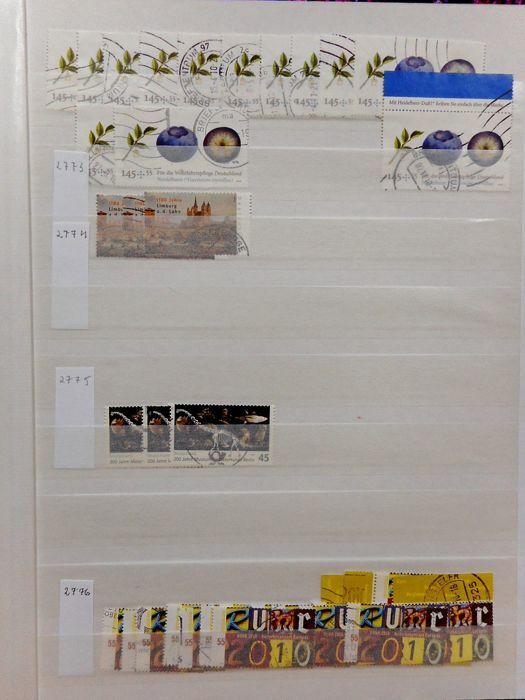 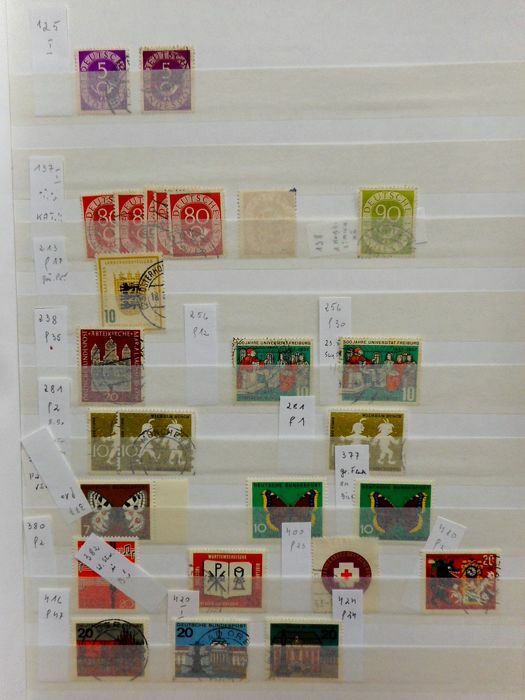 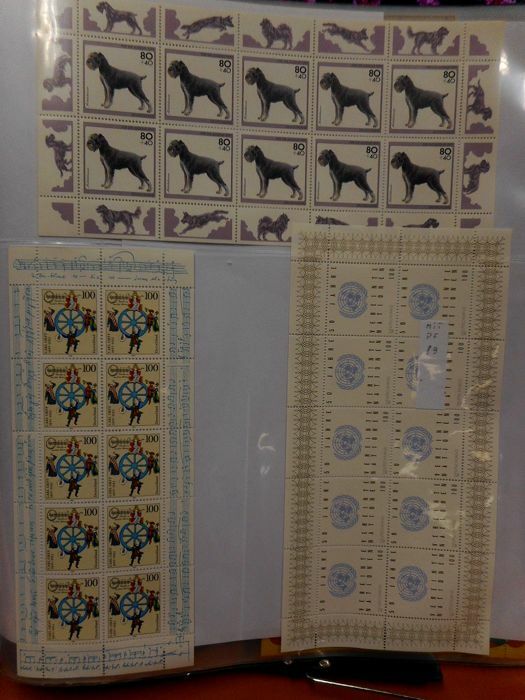 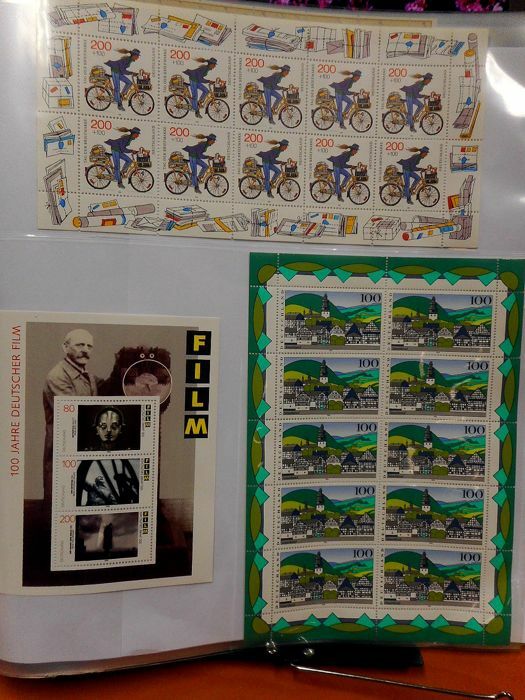 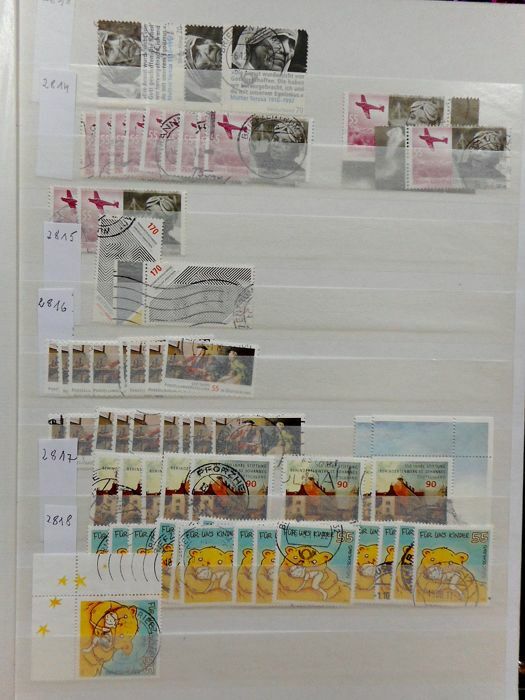 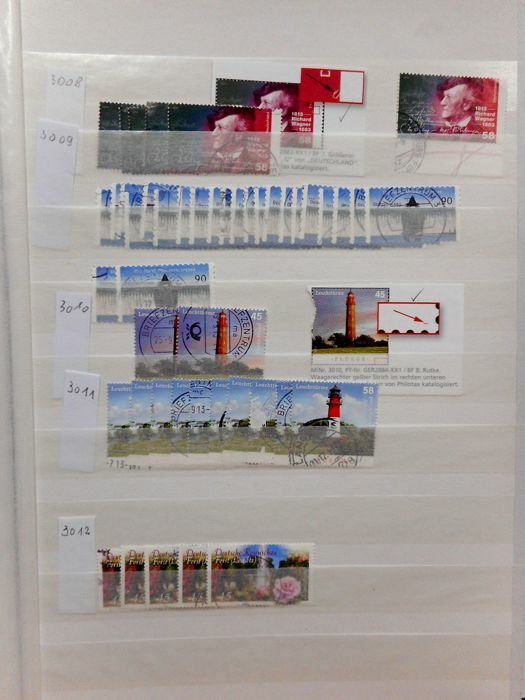 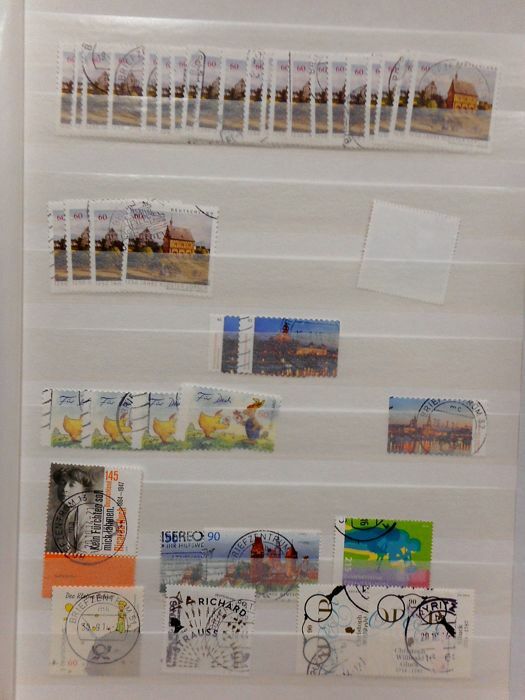 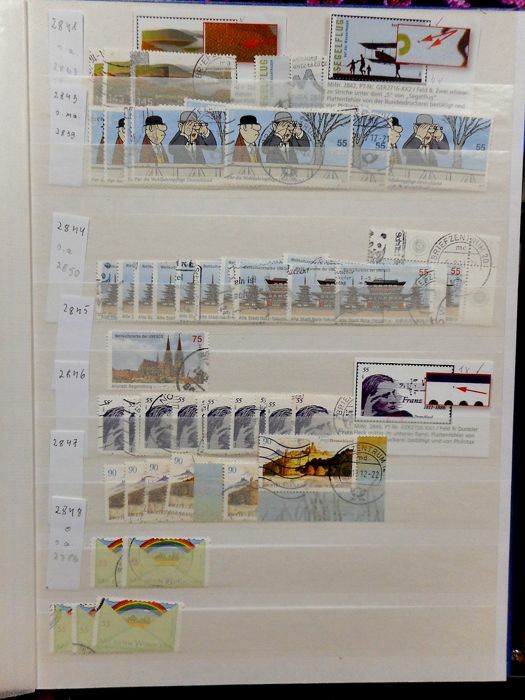 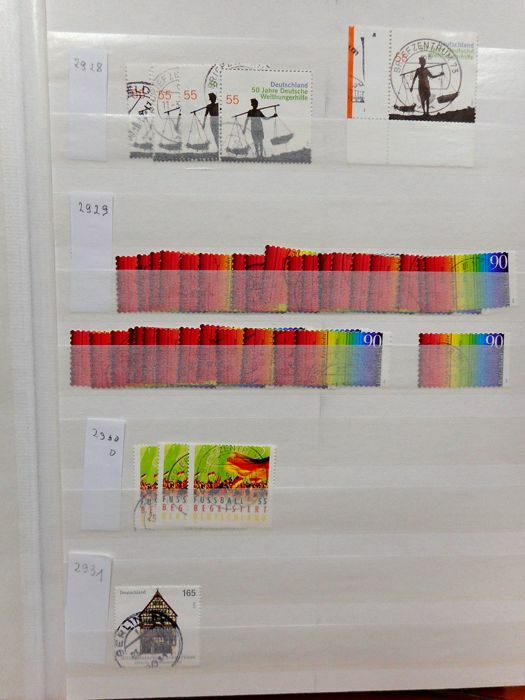 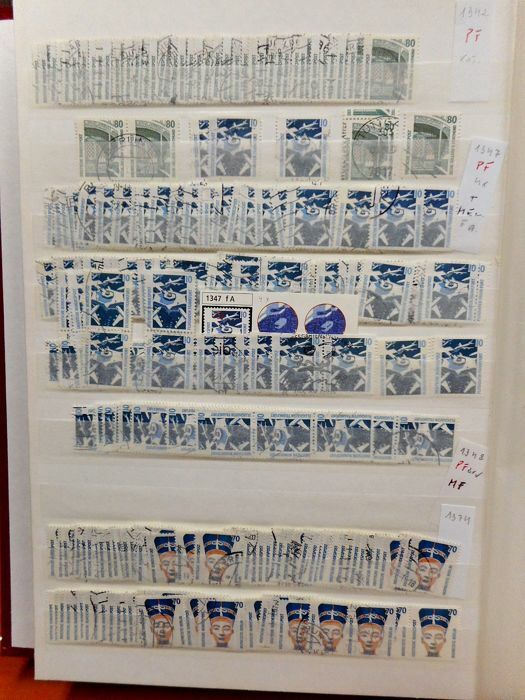 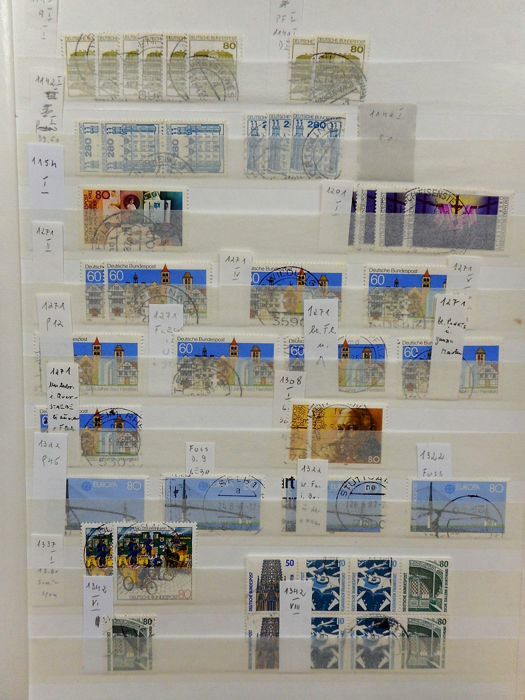 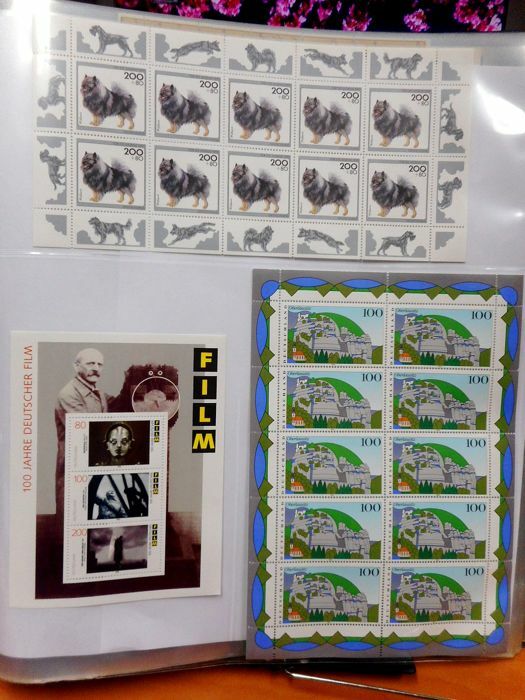 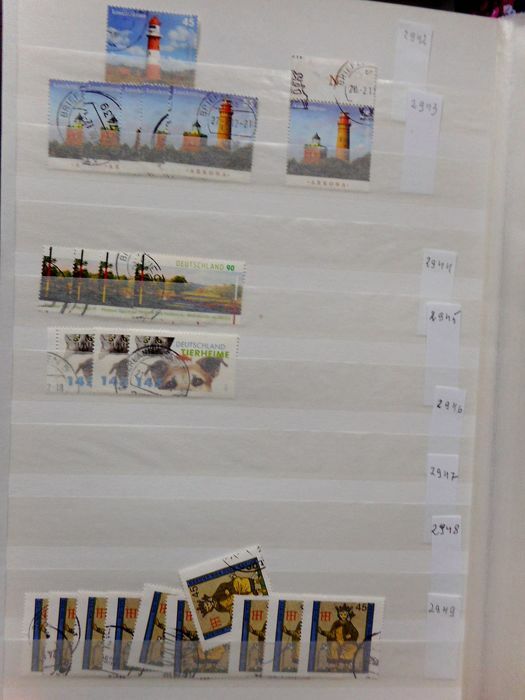 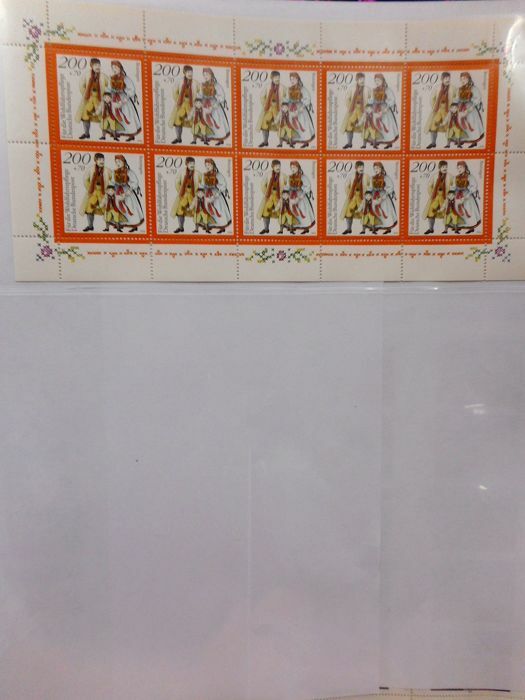 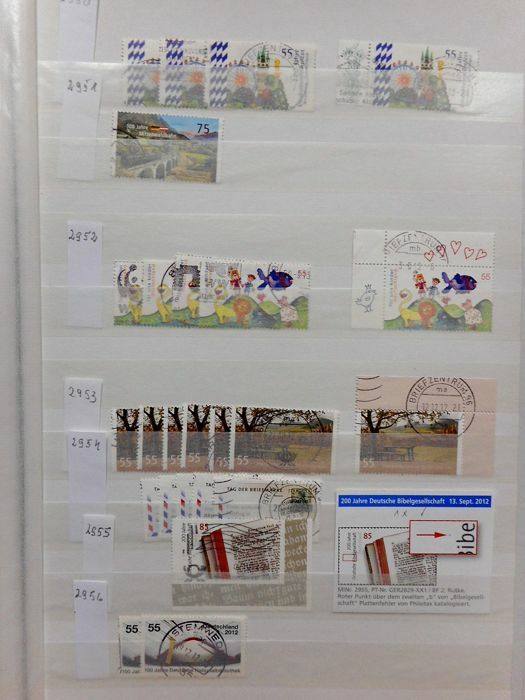 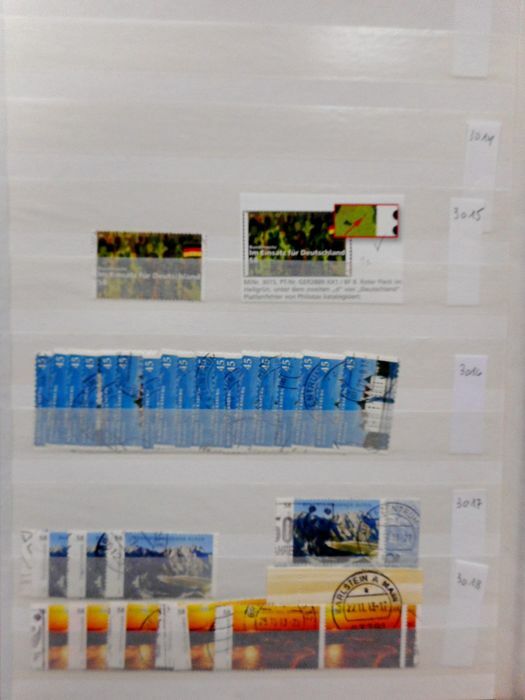 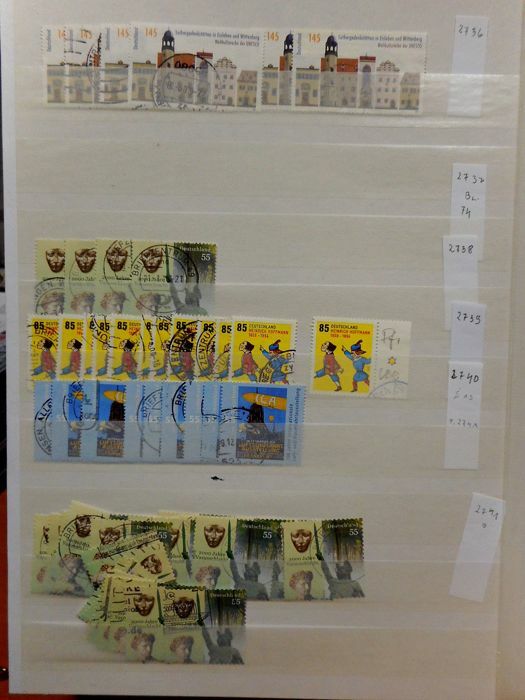 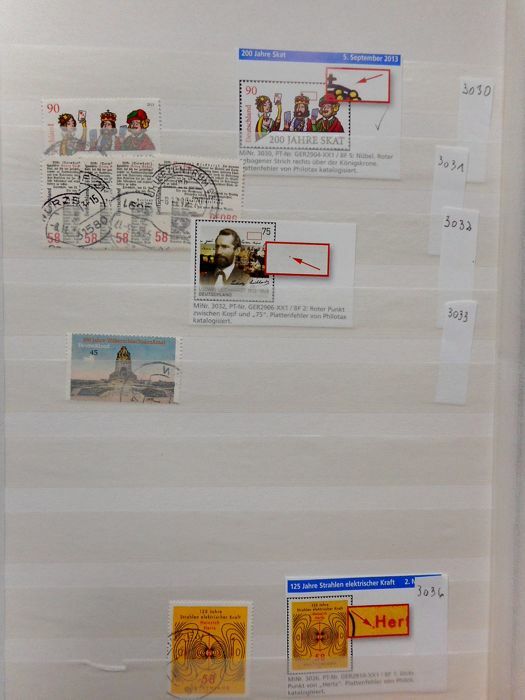 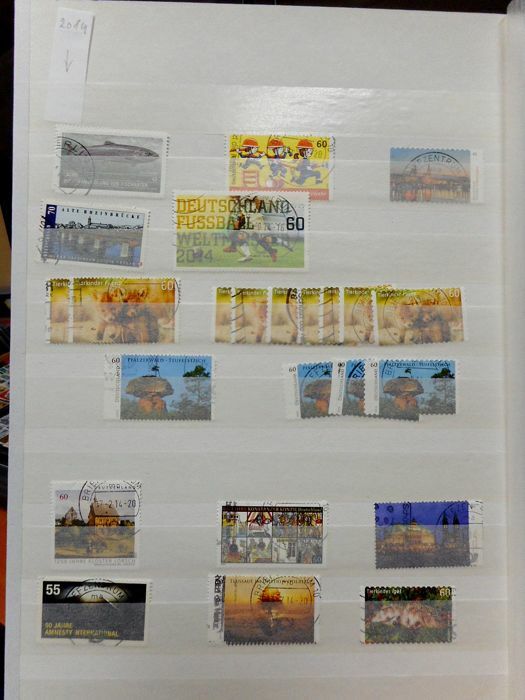 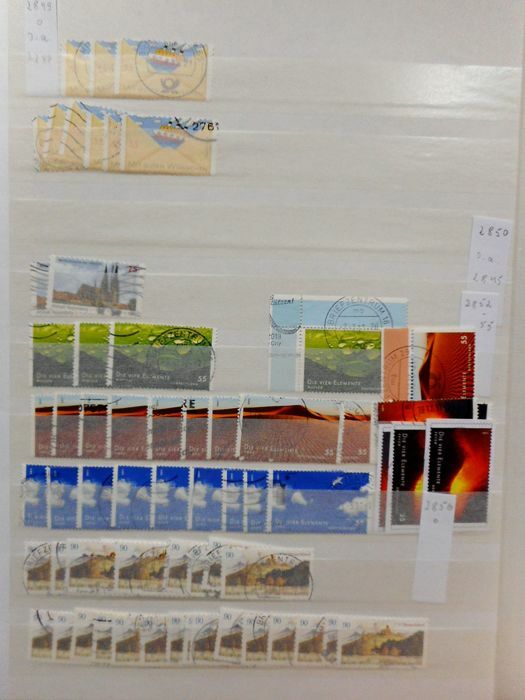 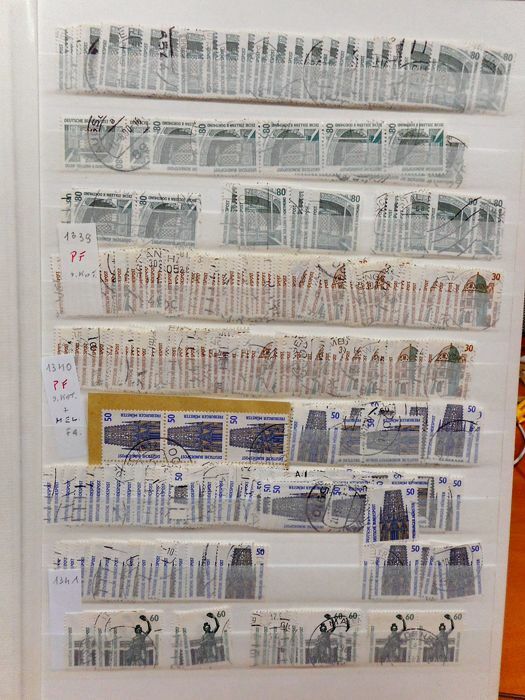 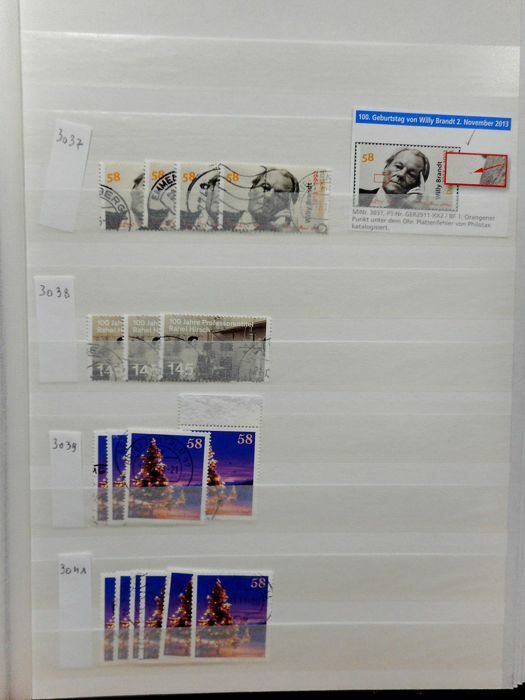 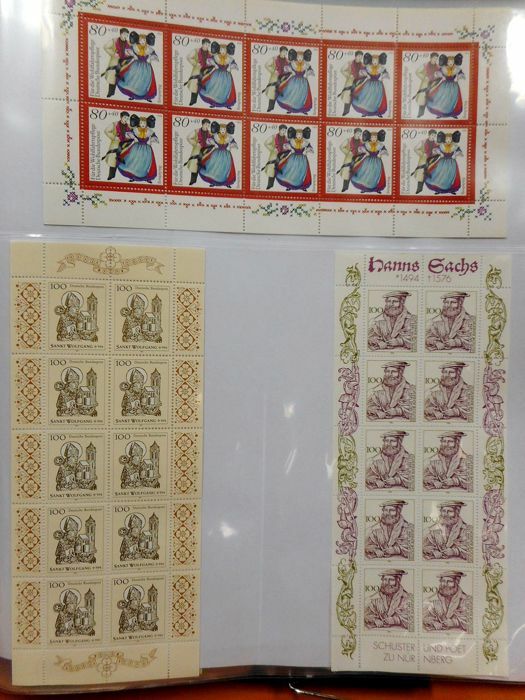 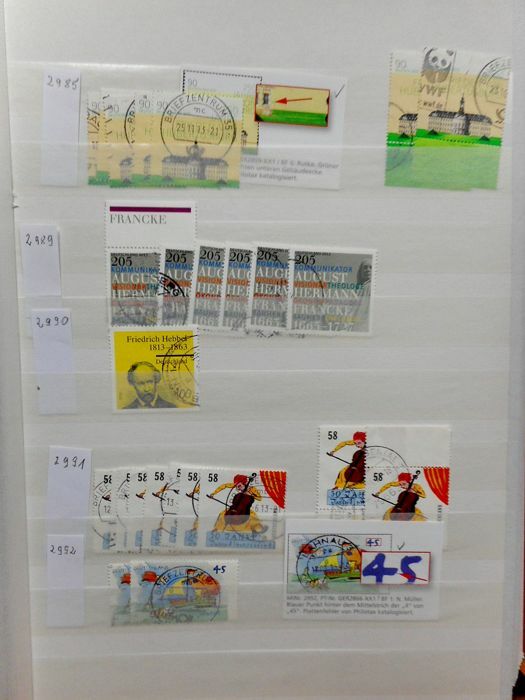 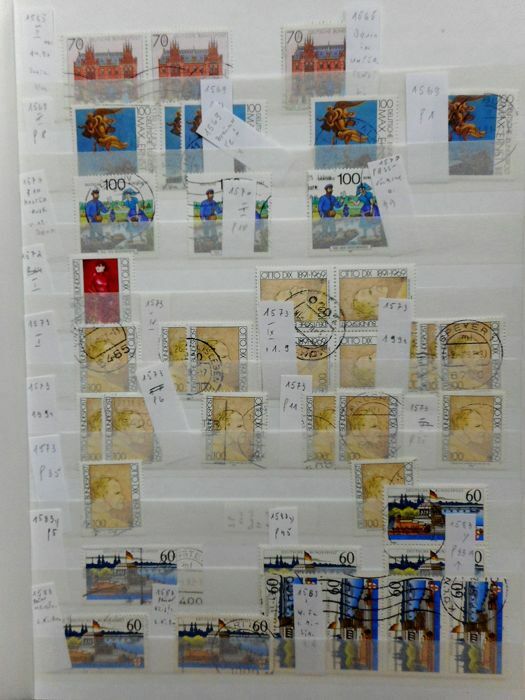 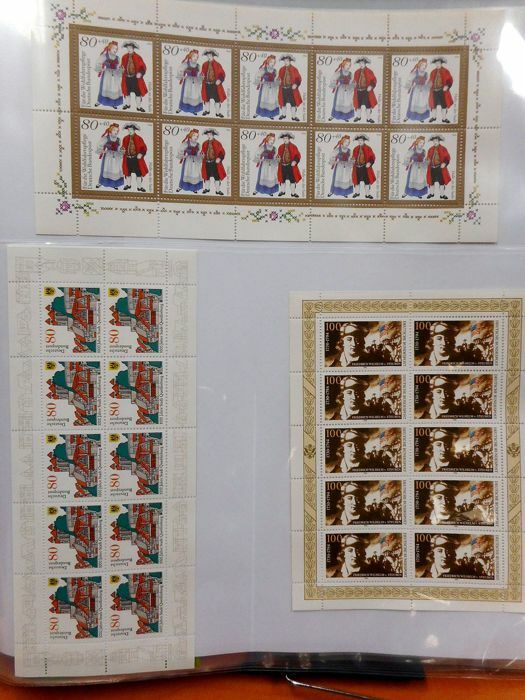 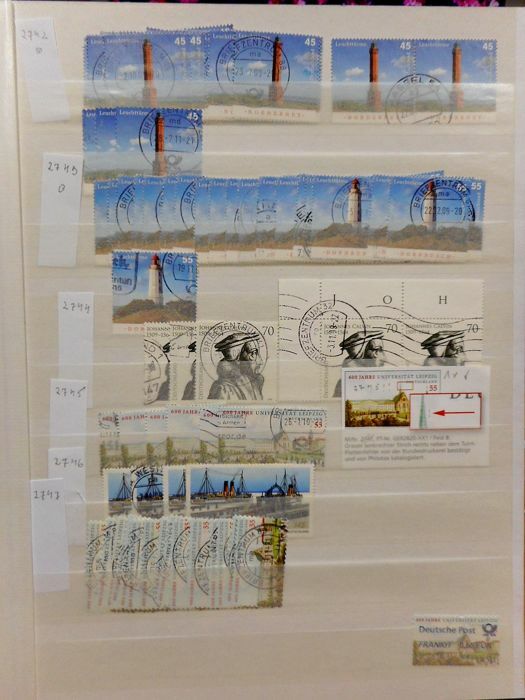 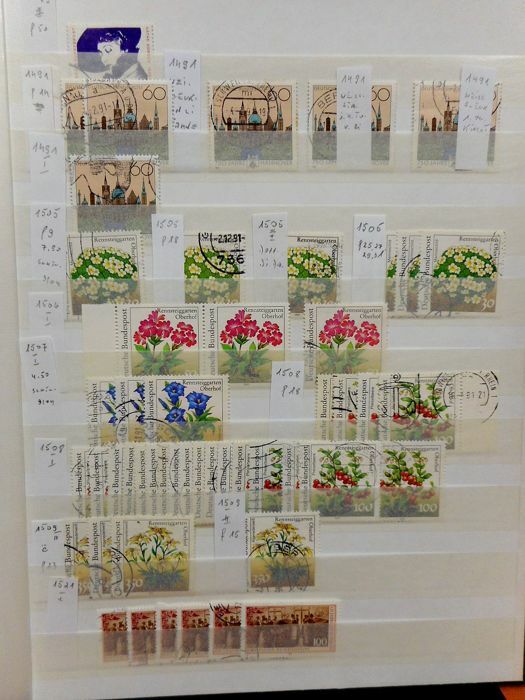 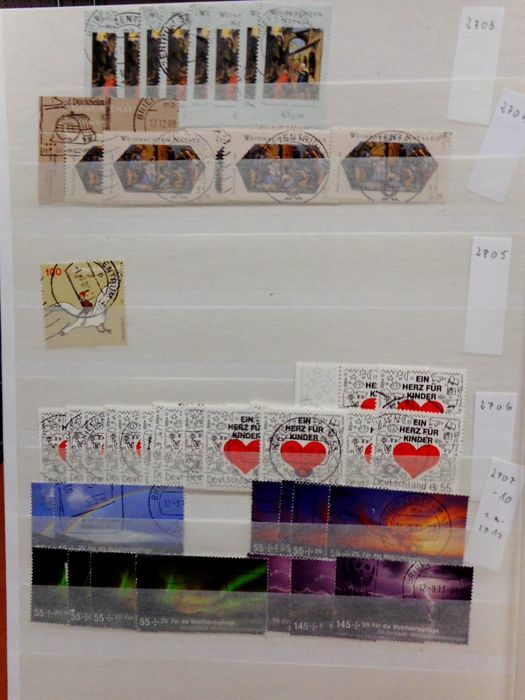 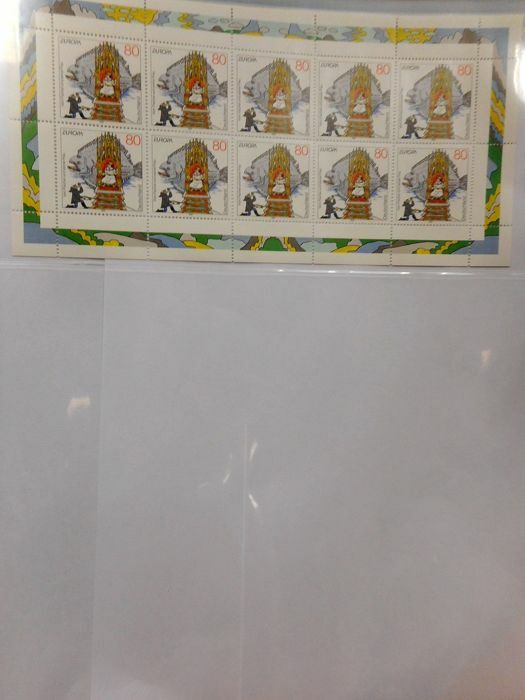 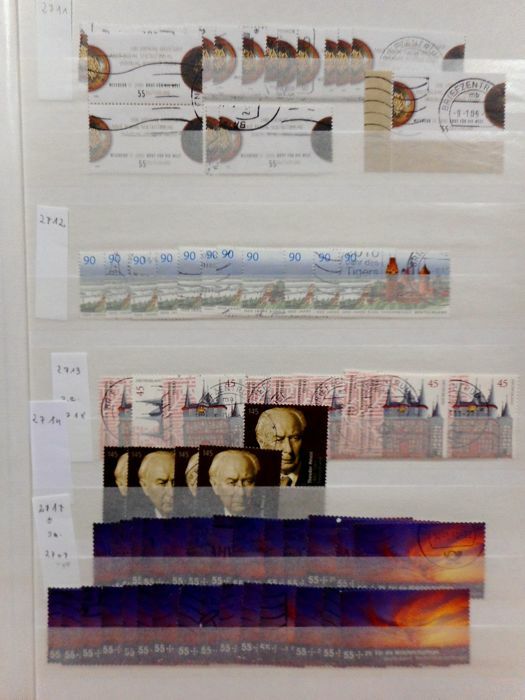 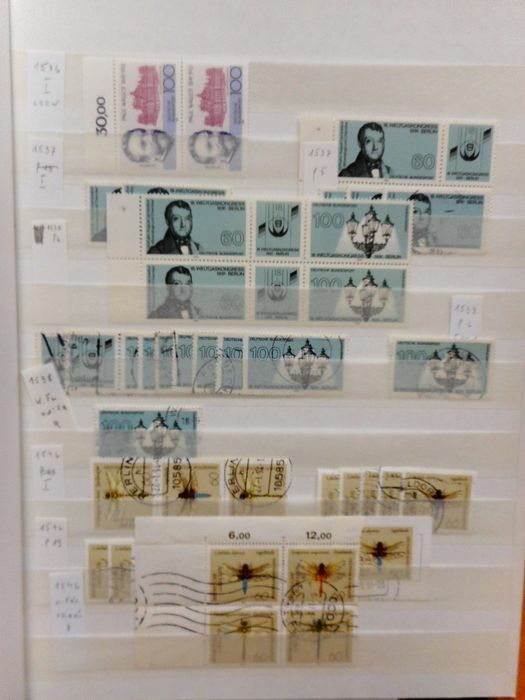 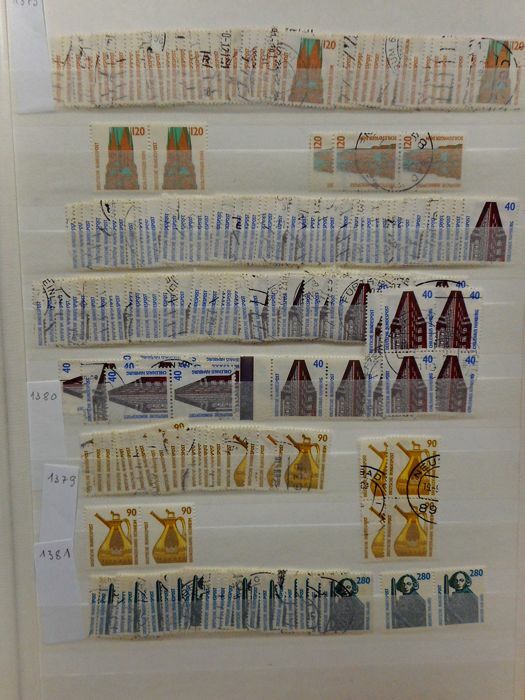 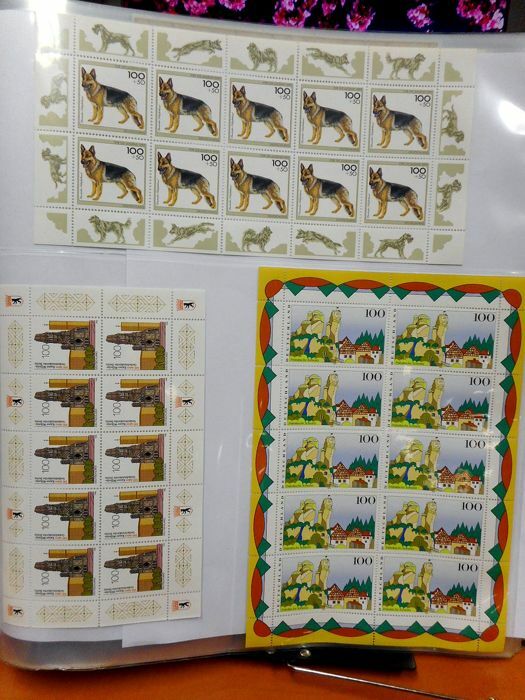 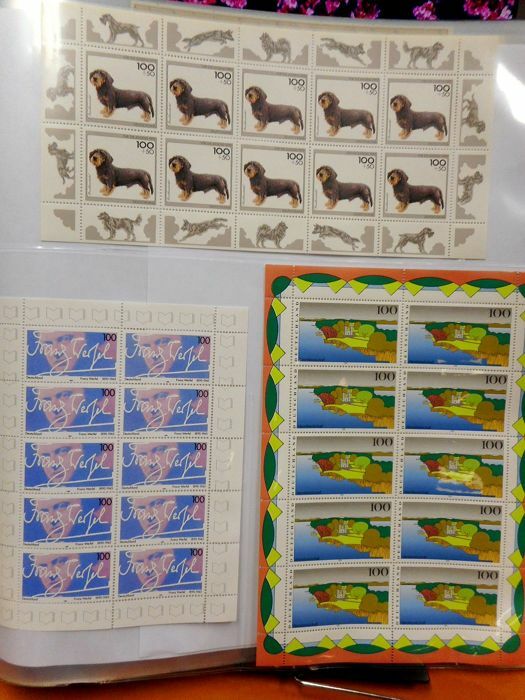 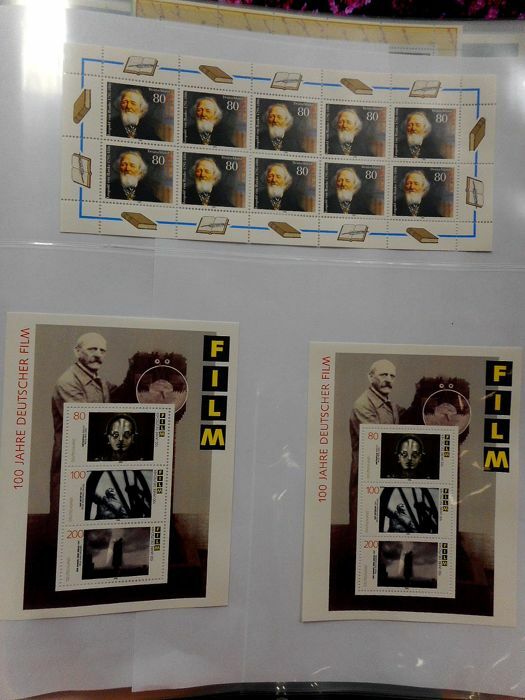 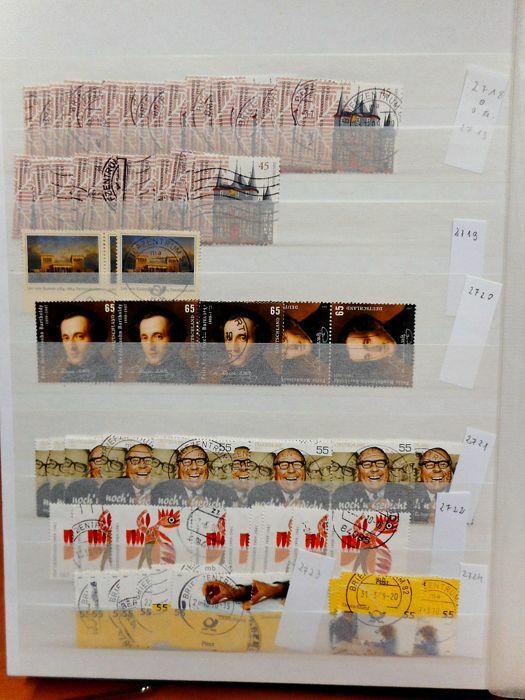 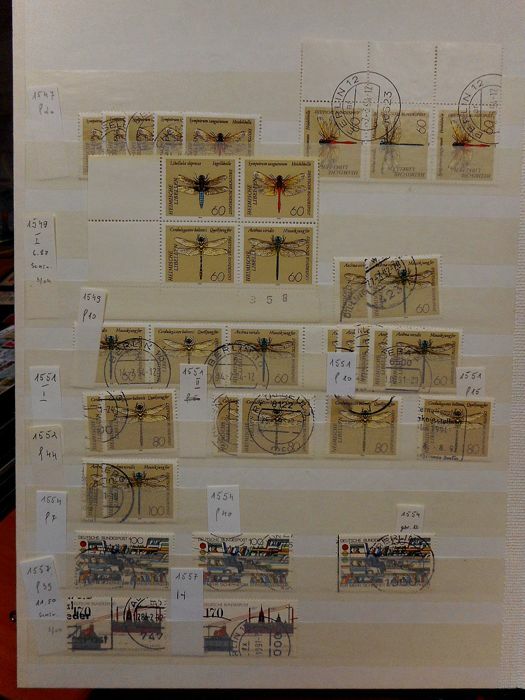 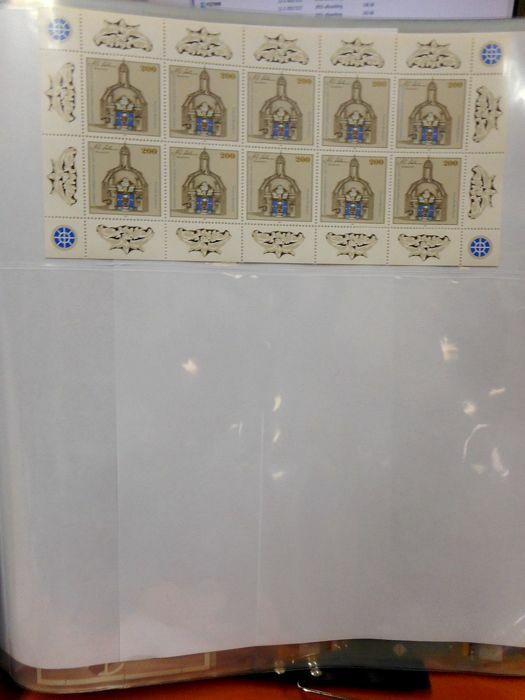 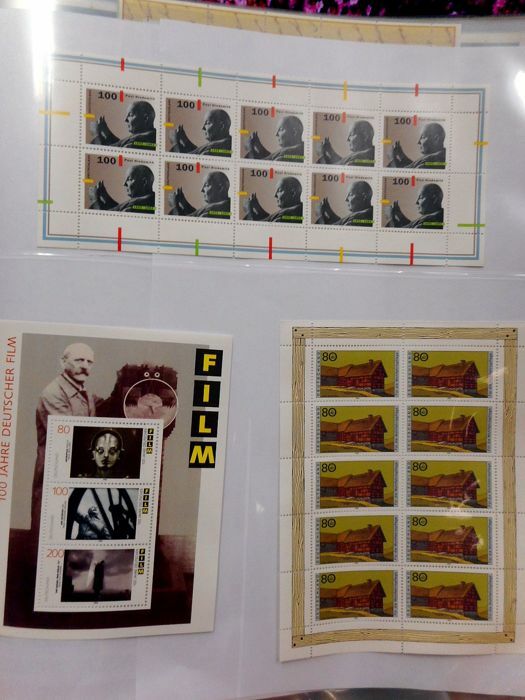 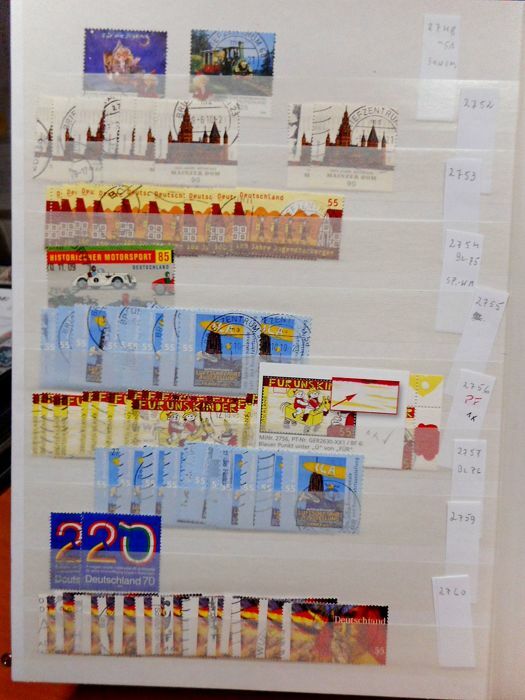 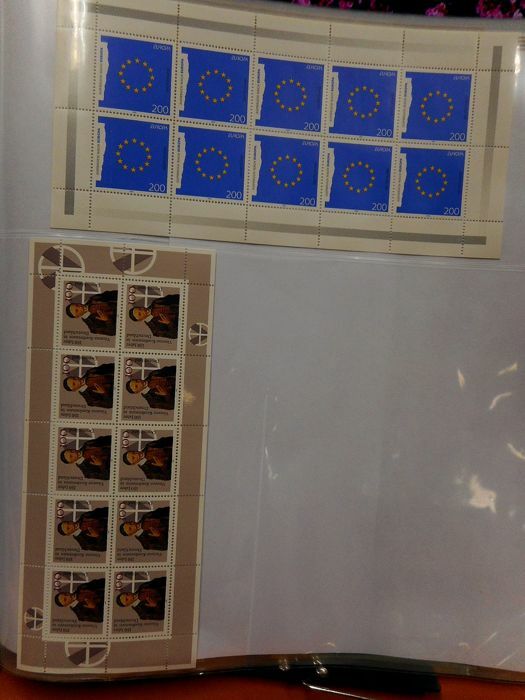 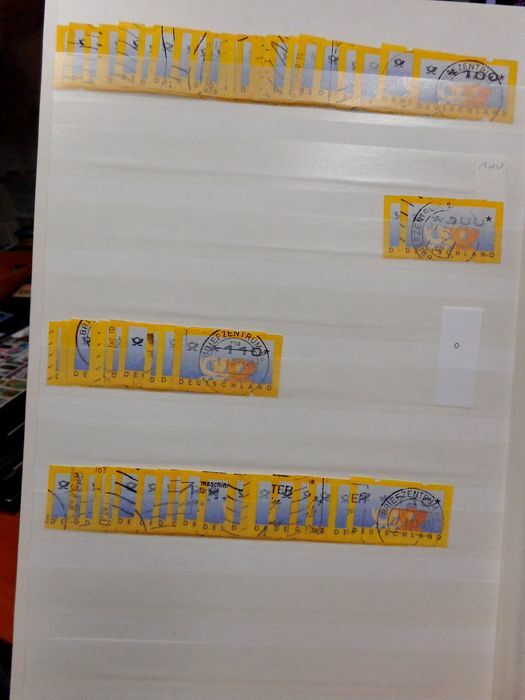 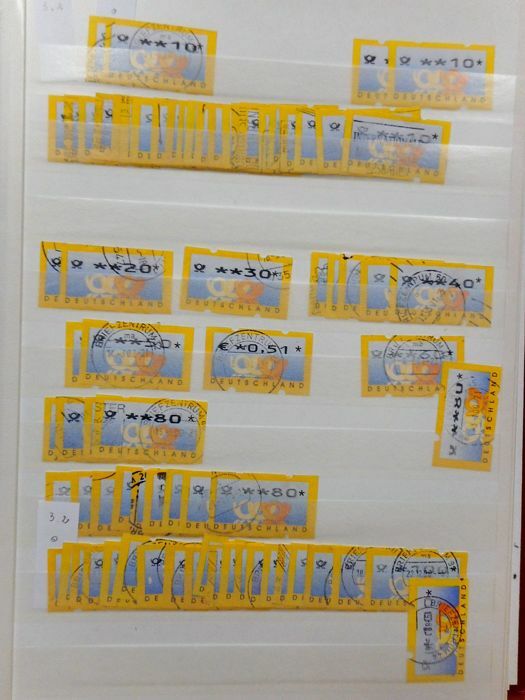 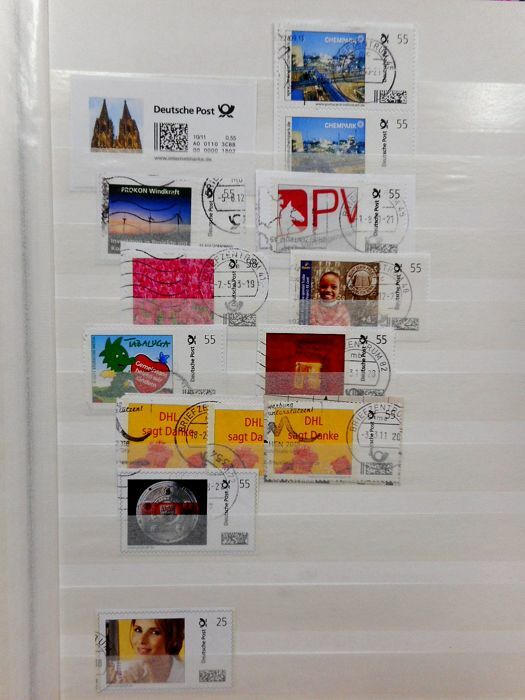 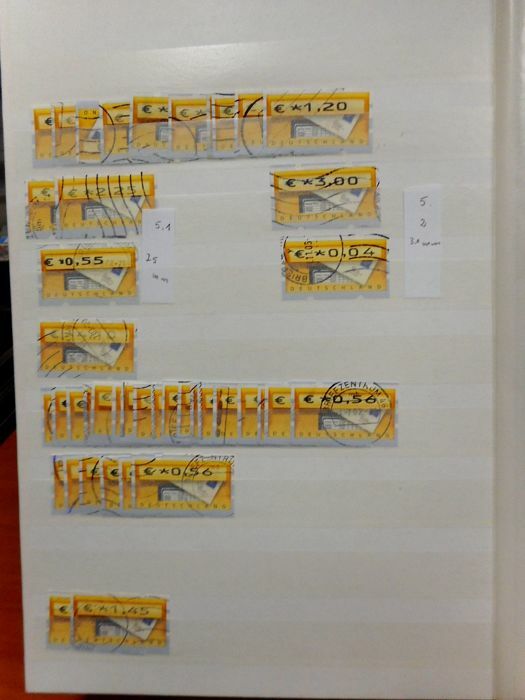 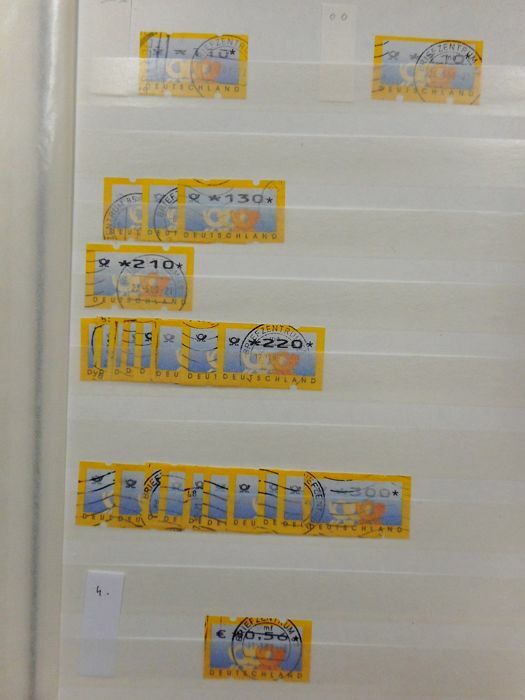 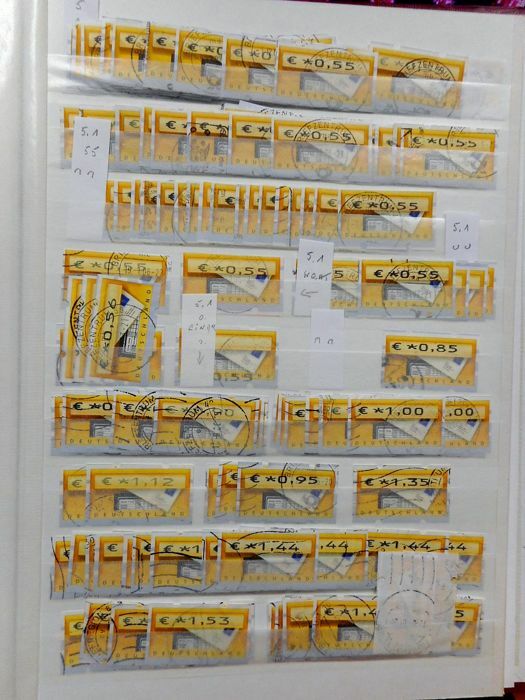 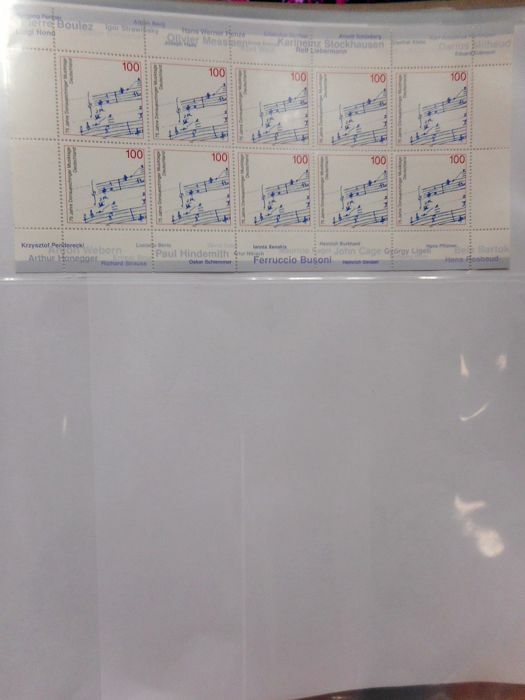 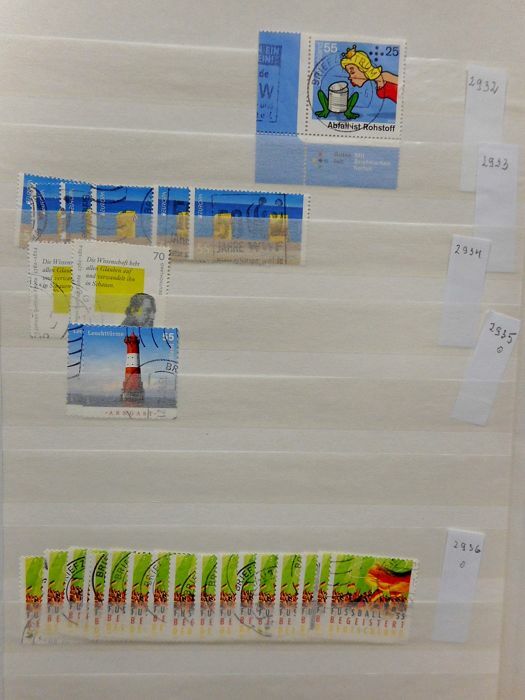 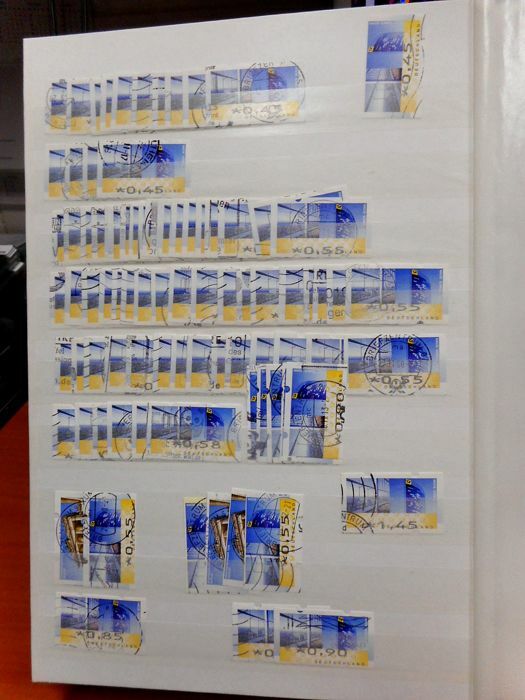 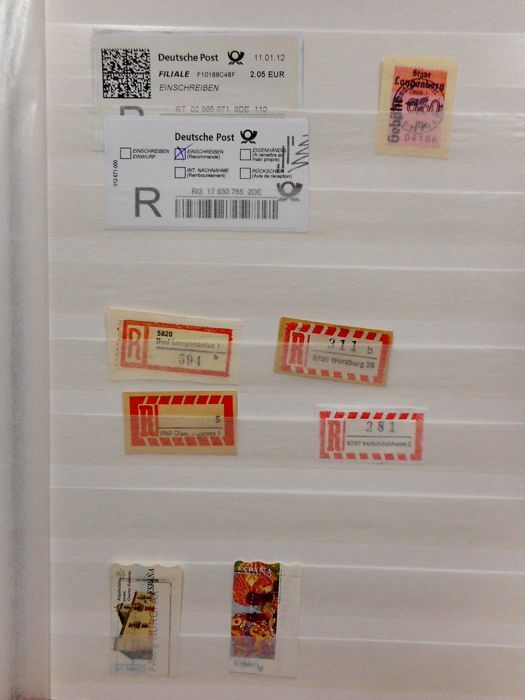 Germany Federal Republic 1980/2014 - in 6 insert albums filled with stamps, and a collection of miniature sheets. 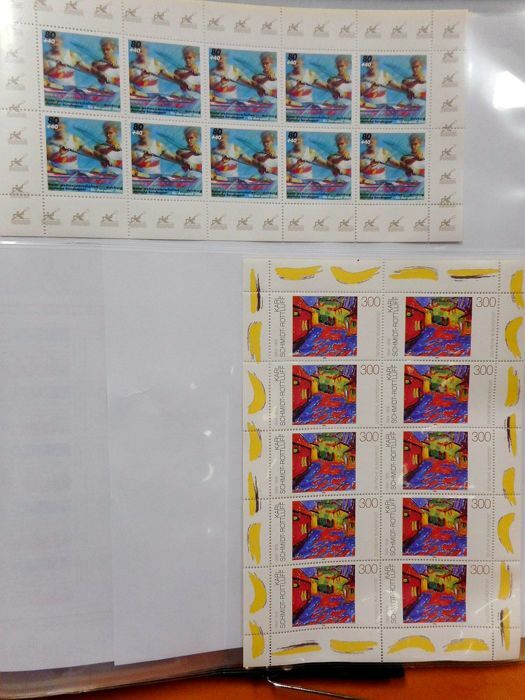 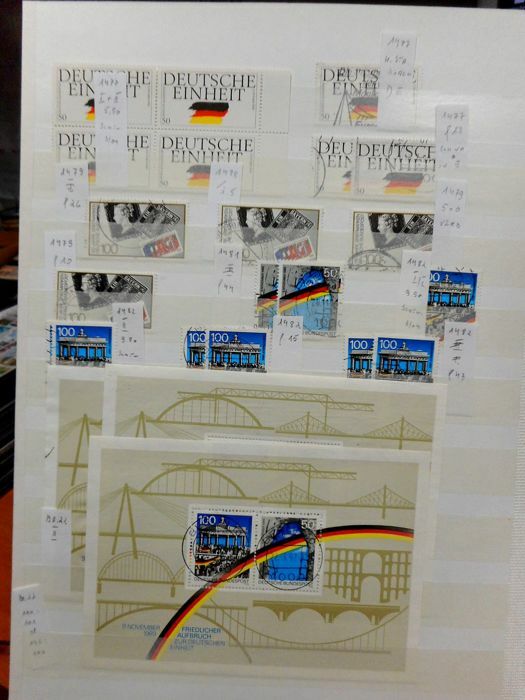 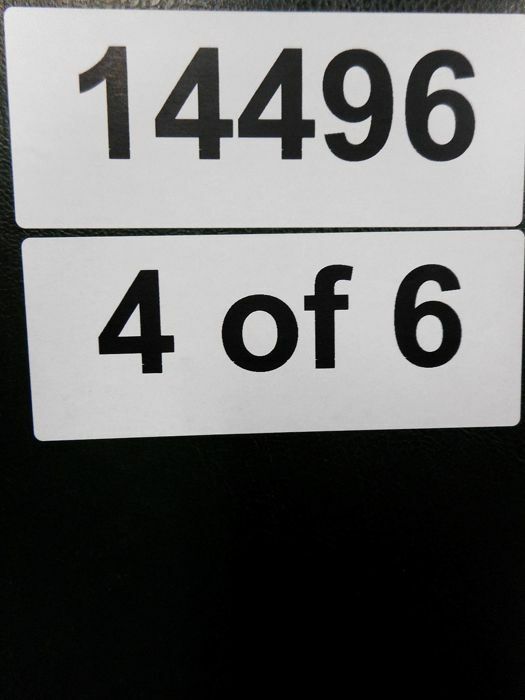 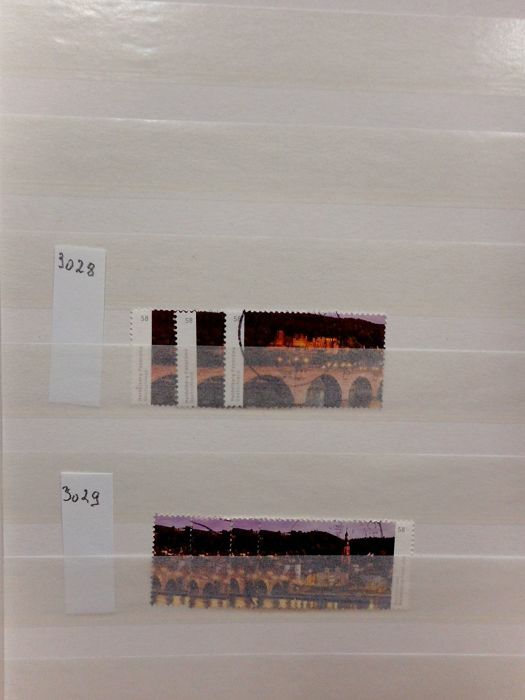 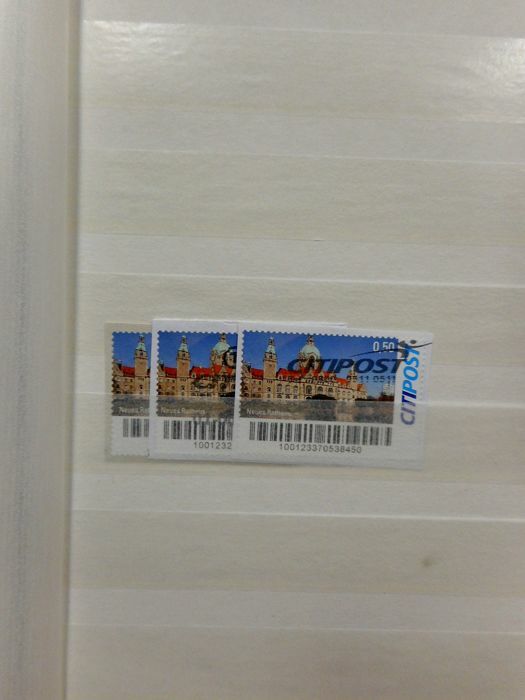 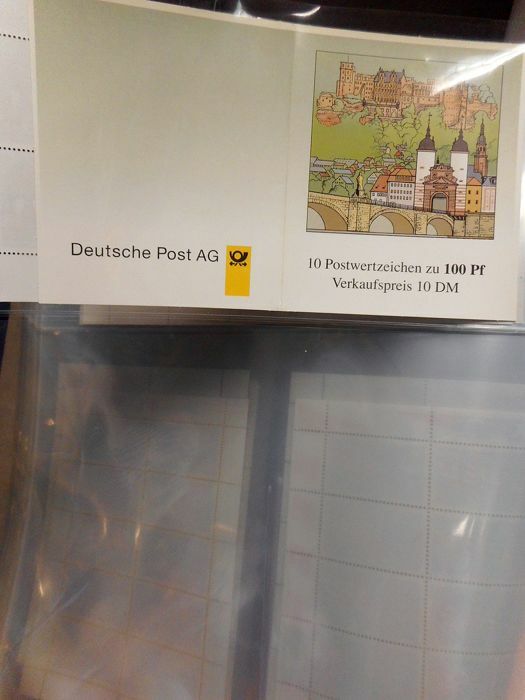 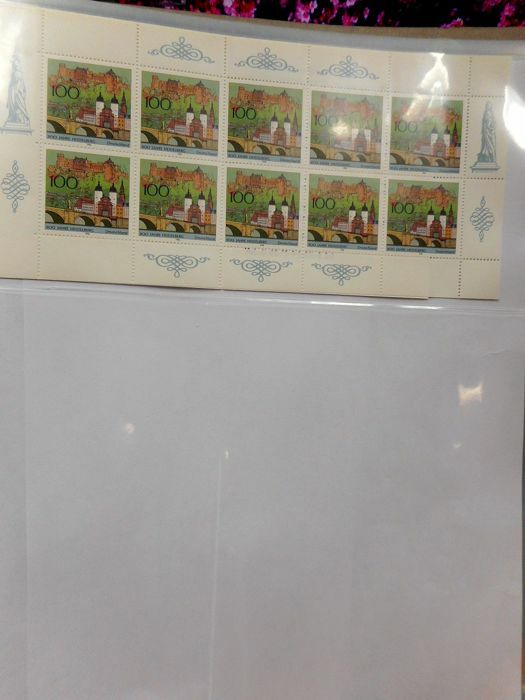 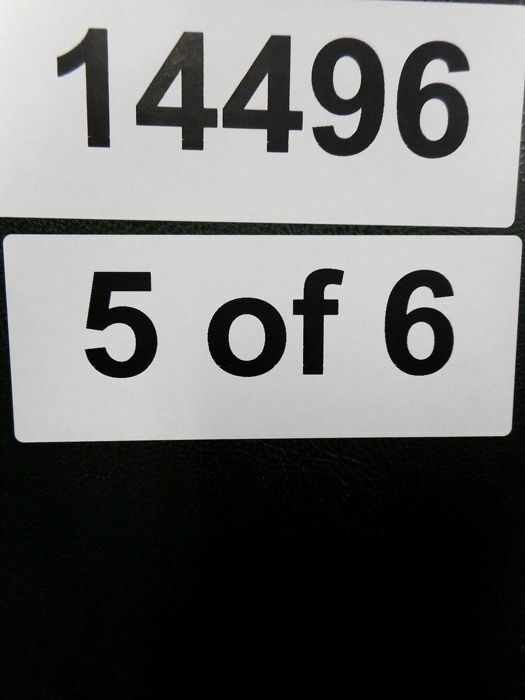 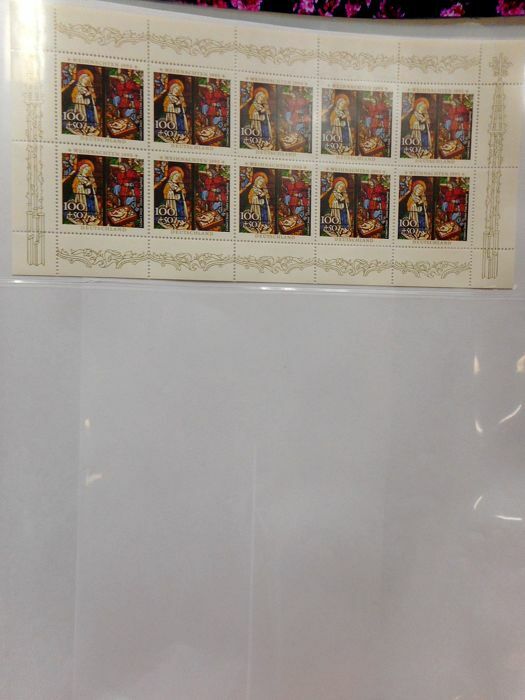 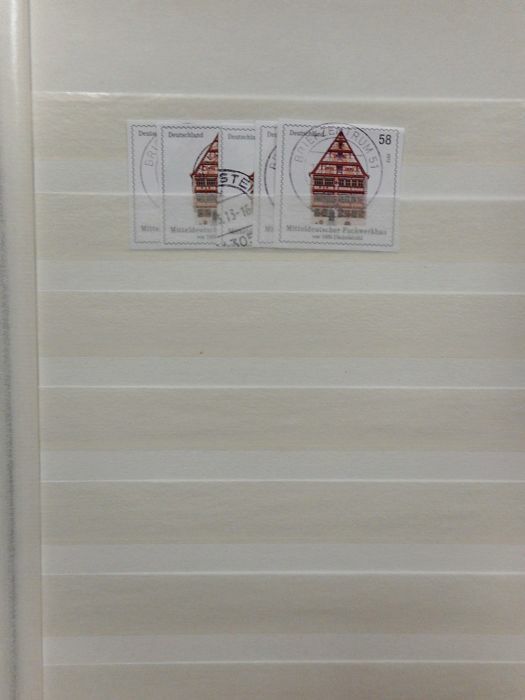 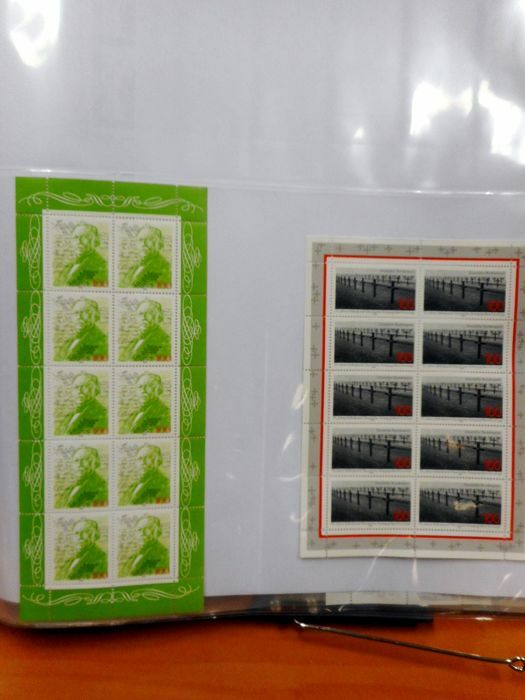 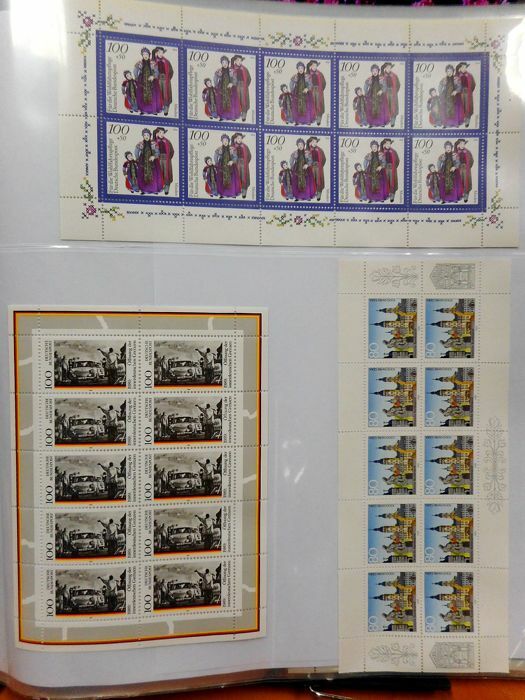 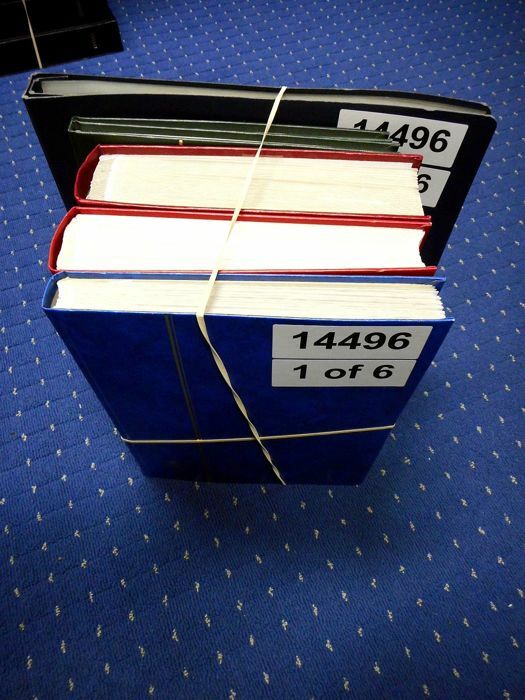 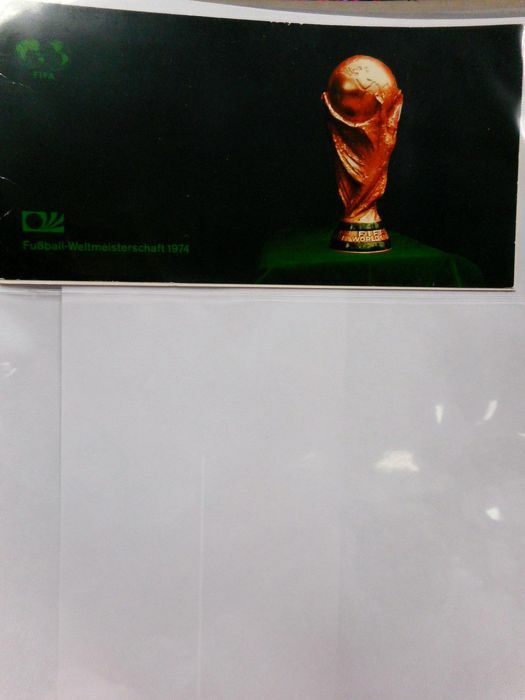 Federal Republic of Germany in 6 stock albums. 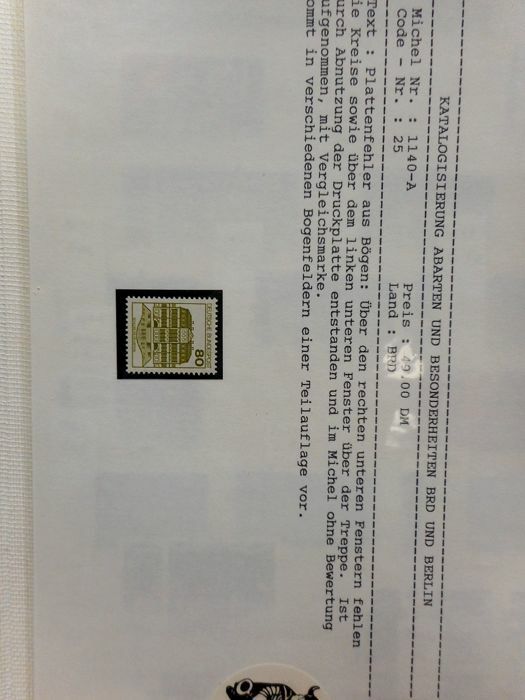 With very modern used material. 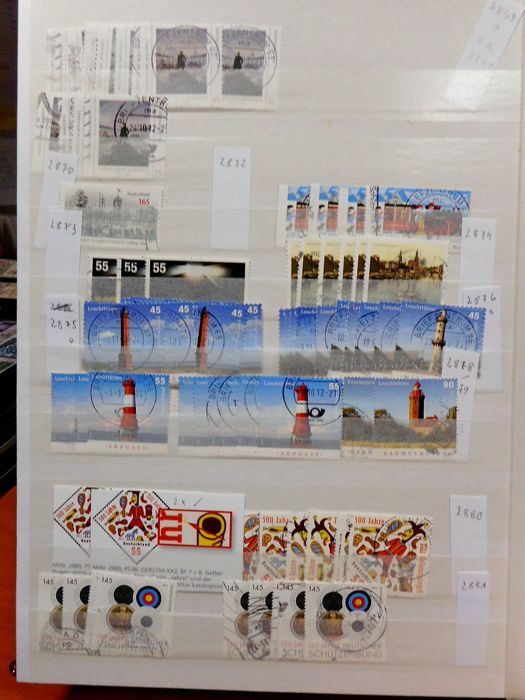 Please see all 178 photos for your own impression. 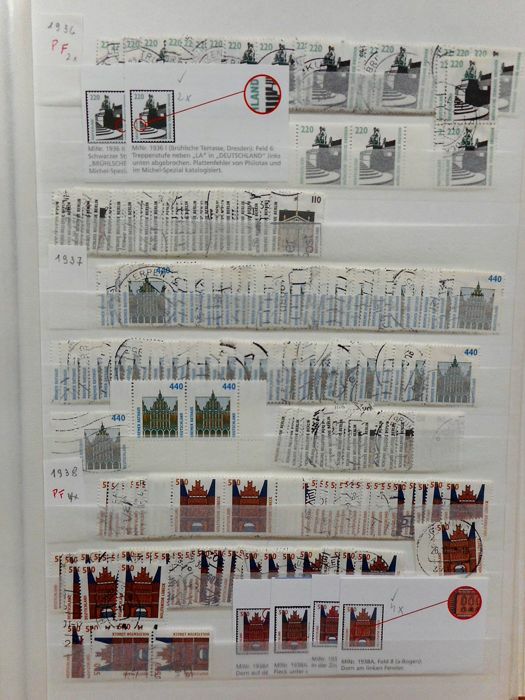 Everything is depicted. 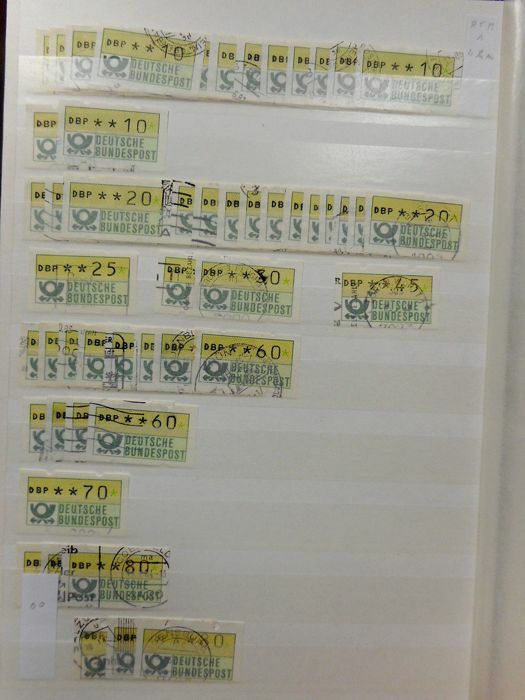 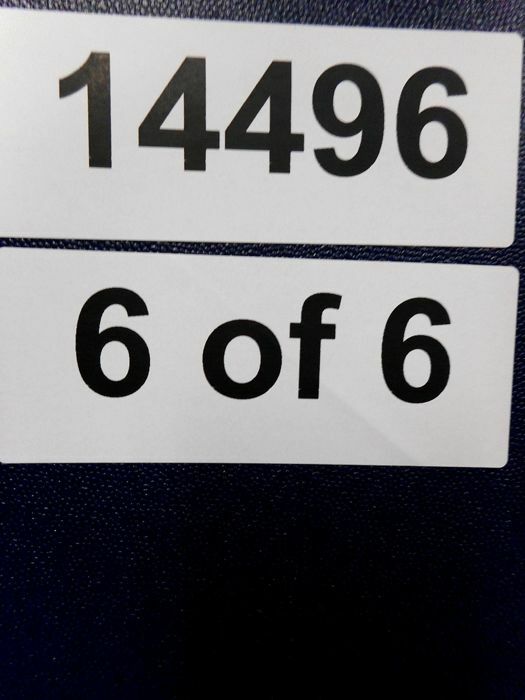 Cancellations have to be checked by you. 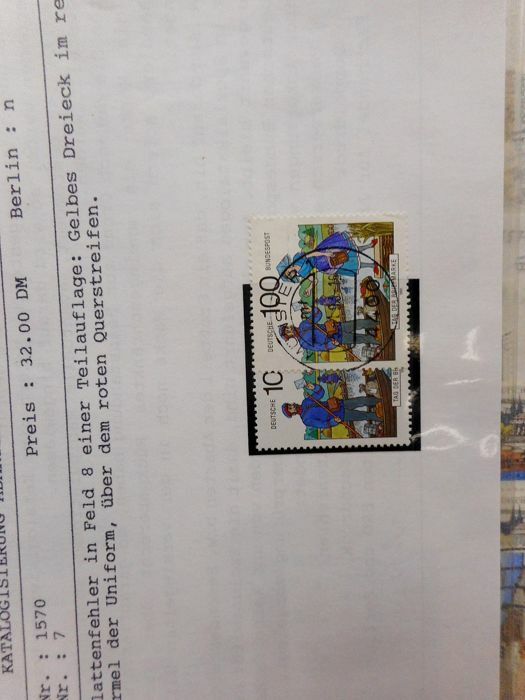 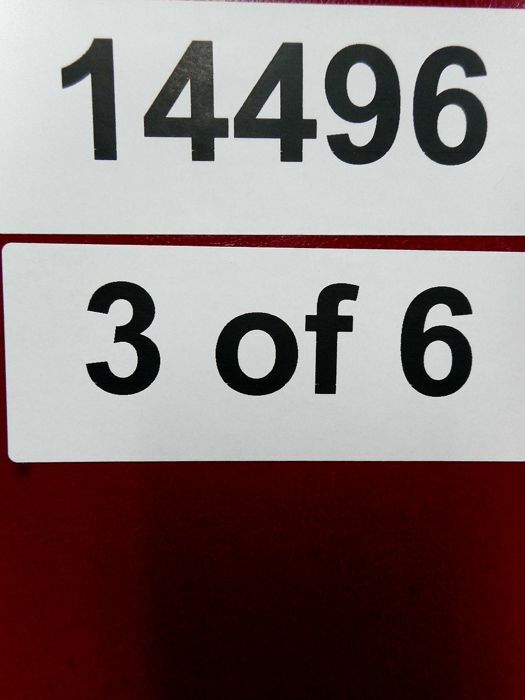 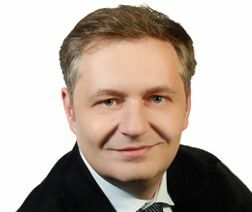 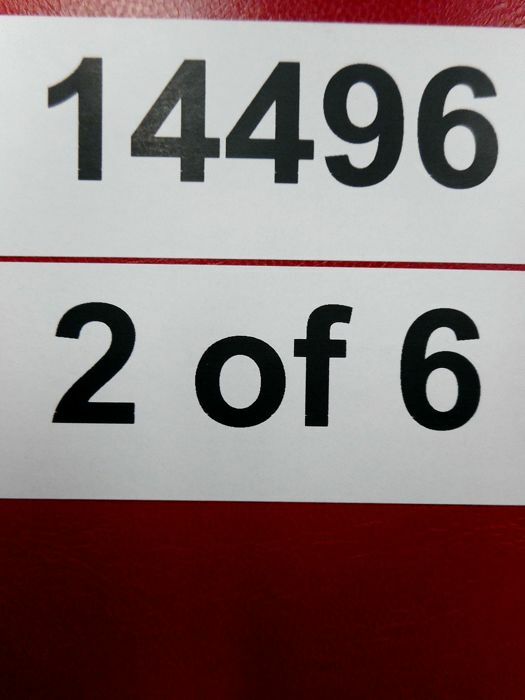 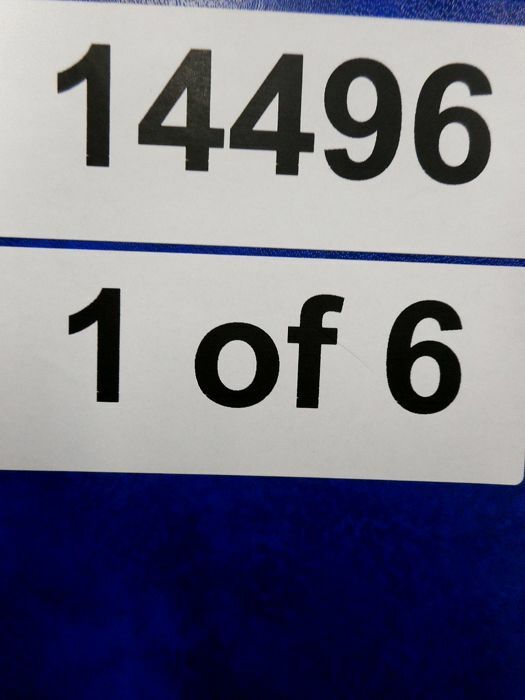 Registered and insured shipping (10 kg). 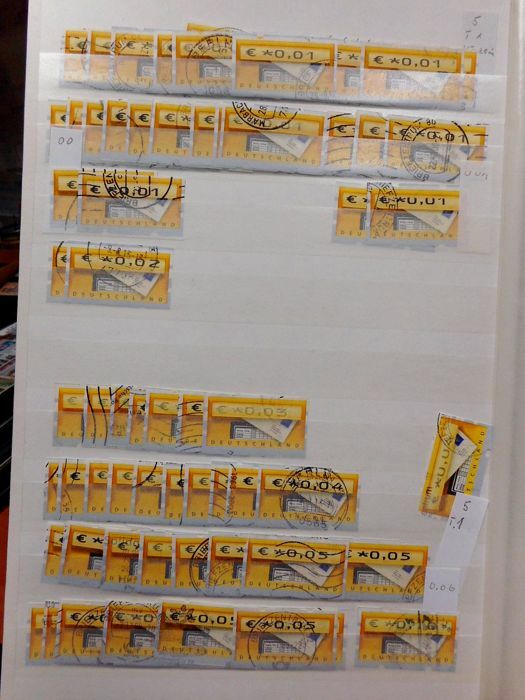 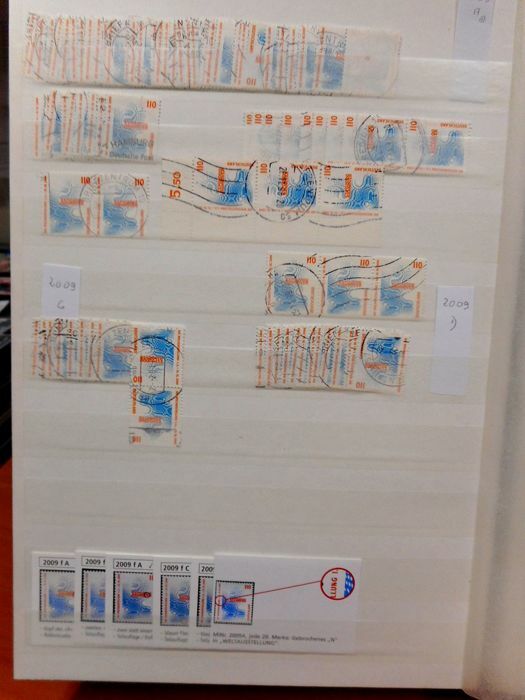 Page POSTHORN : indiqué au crayon FALZ ??? 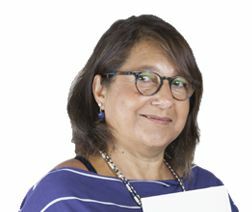 La totalité ou un seul et lequel ? 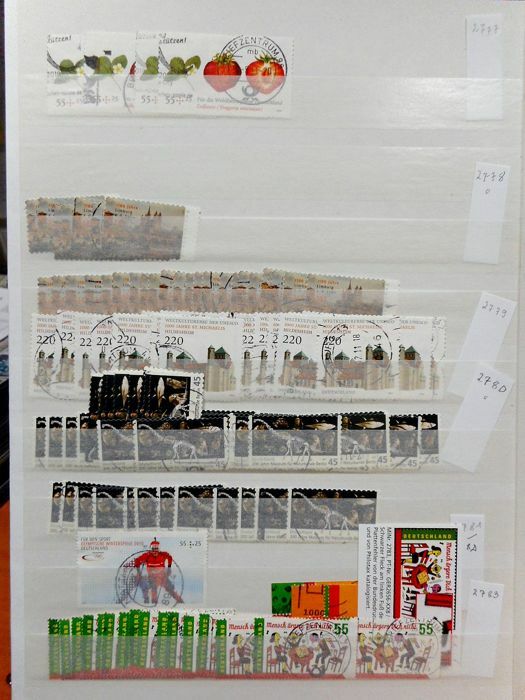 Le reste, parfait.